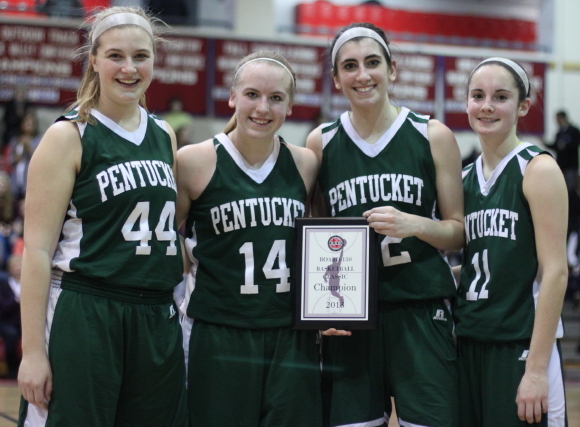 (Lawrence) The Pentucket Sachems defeated Central Catholic, 59-49, in the championship game to win the IAABO Board 130 Classic on Monday night at Central Catholic. 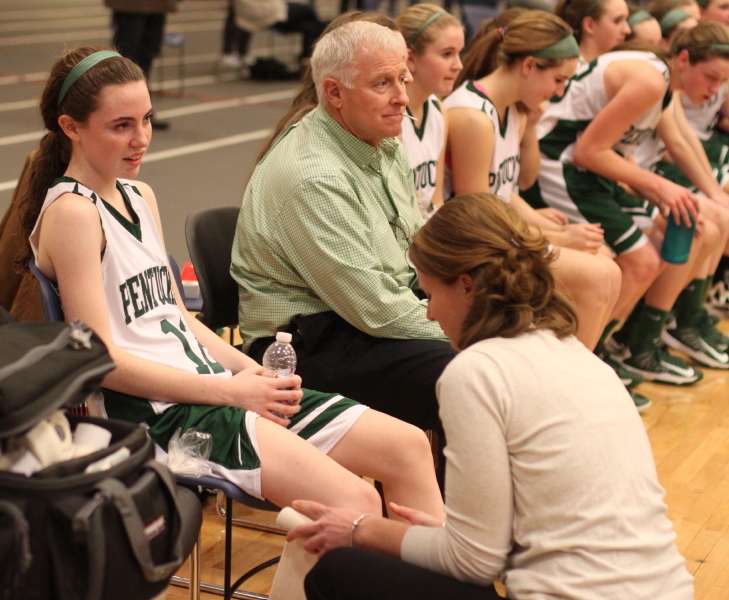 The win was special for Pentucket. 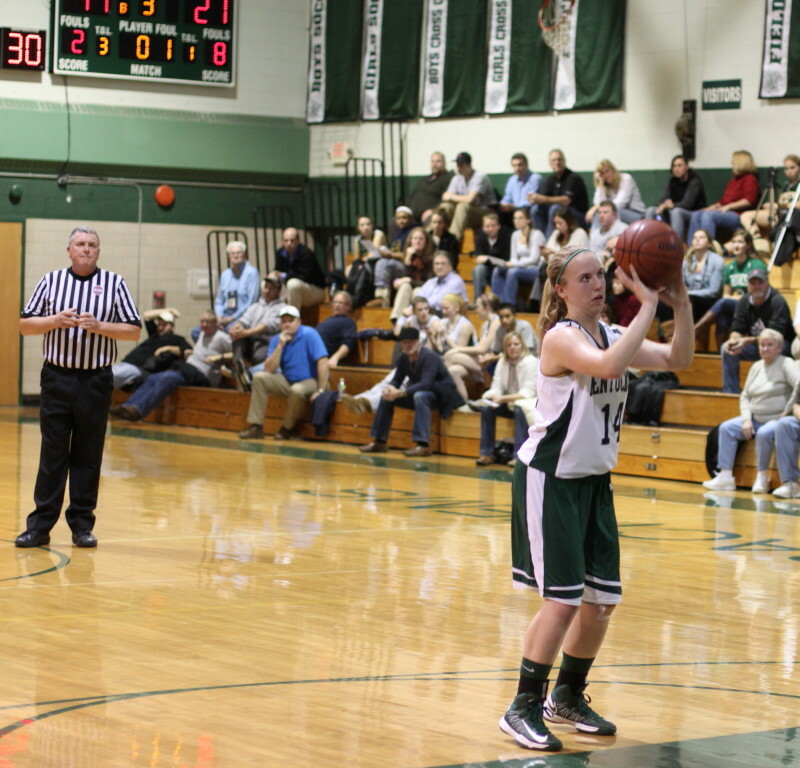 Not only did they get their 20th win of the season but senior Coley Viselli reached 1000 points late in the fourth quarter. 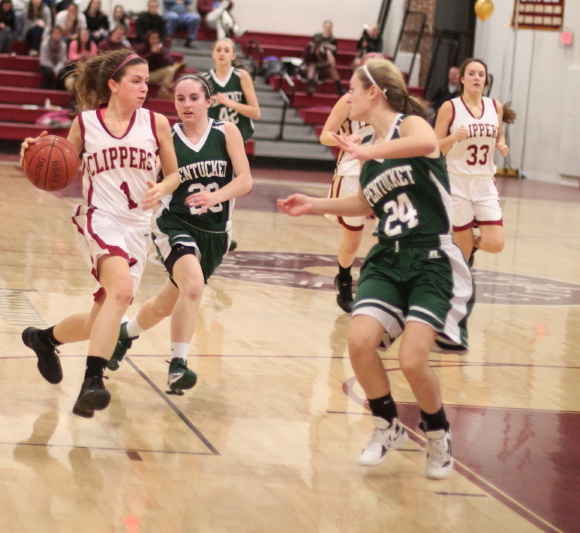 The Raiders trailed by one (46-45) with 6:44 left in the game but went into a four-minute scoring drought that featured four turnovers. 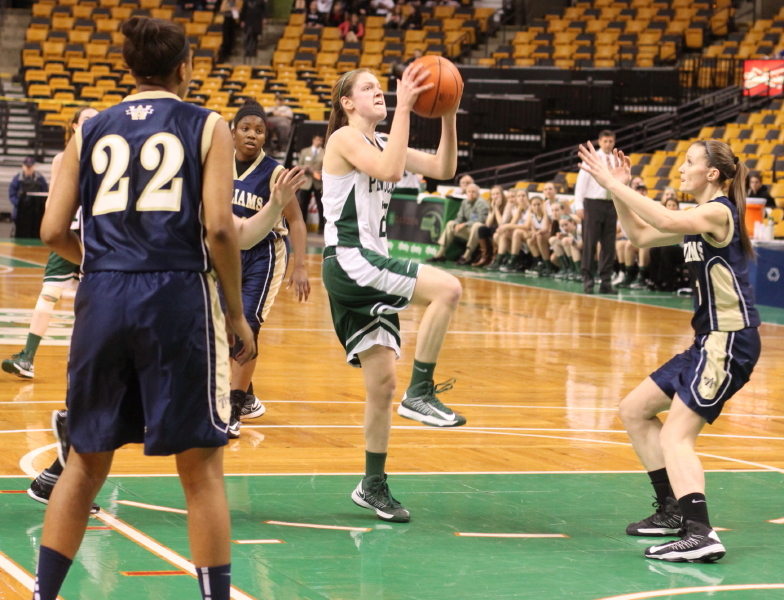 The Sachems, meanwhile, put a string of nine points together to create a ten-point spread (55-45) with 2:43 to go. 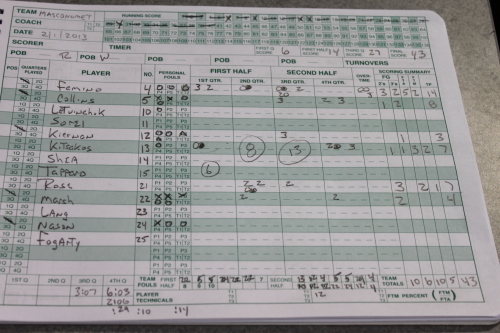 CC never recovered. 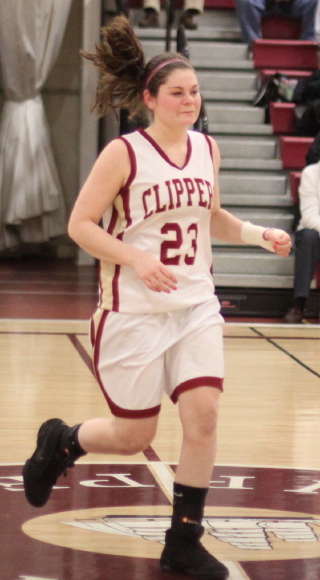 In the crucial four minutes, Alex Moore (11 points) started things with a layup down the lane and ended it with another layup on an inbounds pass from Coley Viselli (11 points). 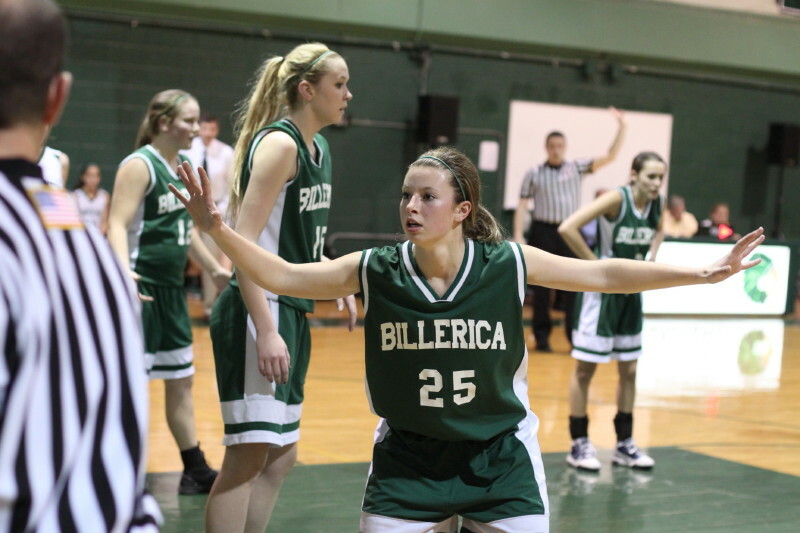 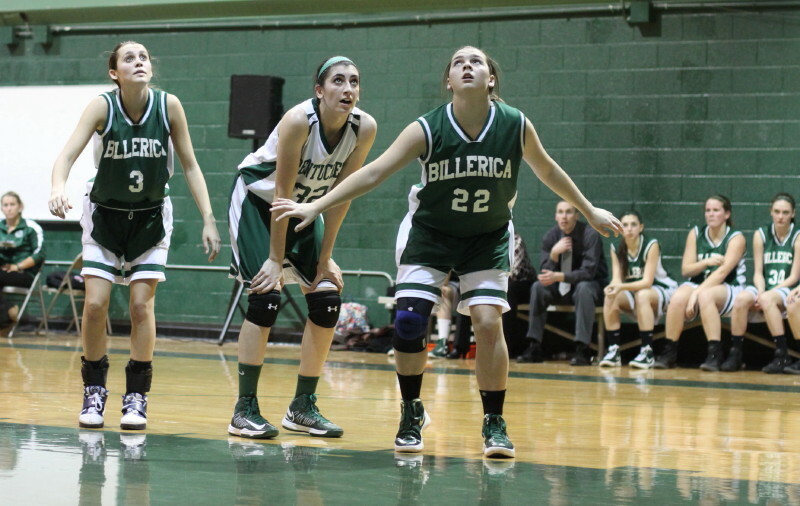 Also in the mix were two Kelsi McNamara (21 points) free throws and a McKenna Kilian (7 points) three. 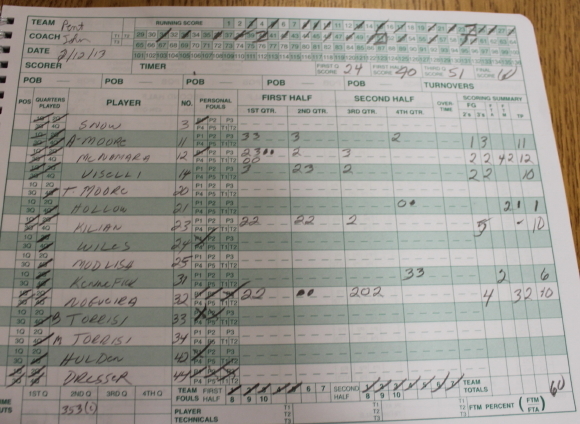 This game was physical from start to finish. 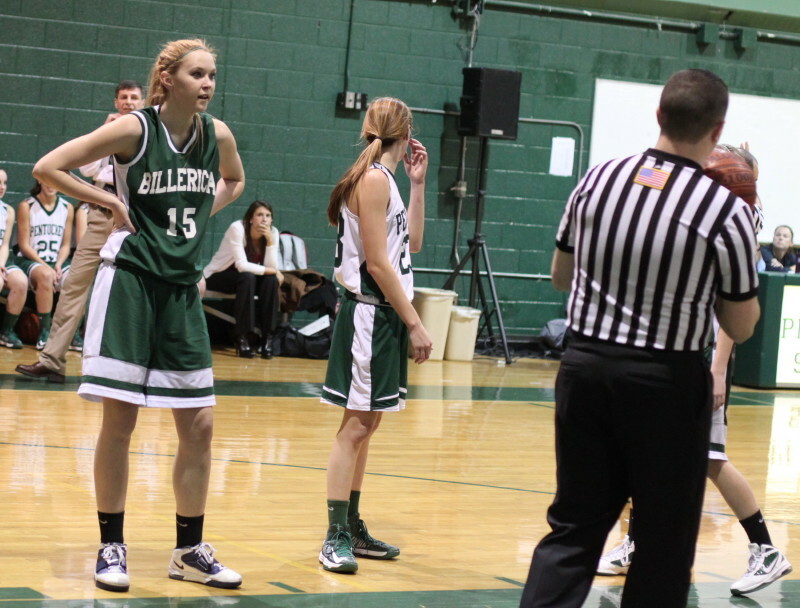 The three officials all brought whistles but seemed intent on letting the girls play. 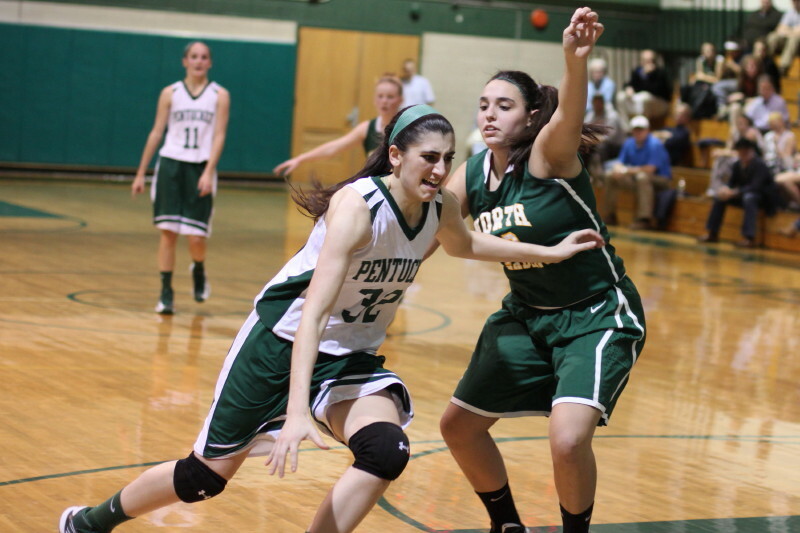 Kelsi McNamara and Alex Nagri both drew technicals because of excessive contact. 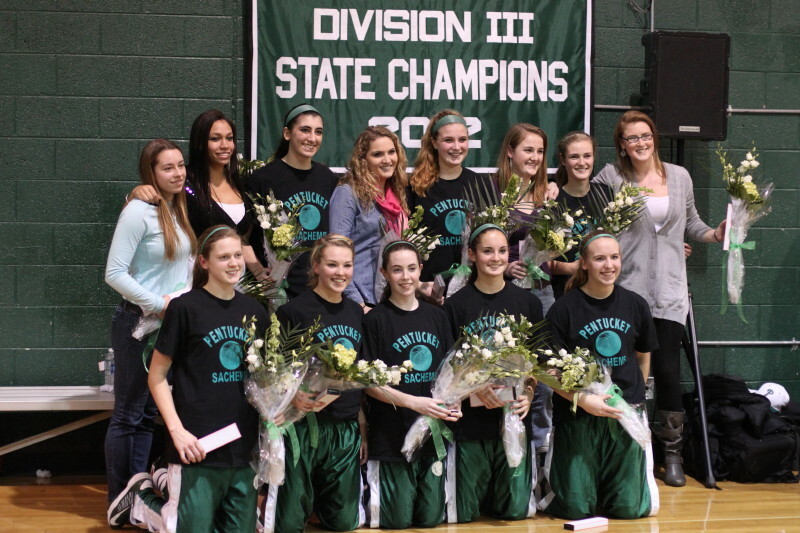 Sophomore Kelsi McNamara took home the tourney MVP plaque. 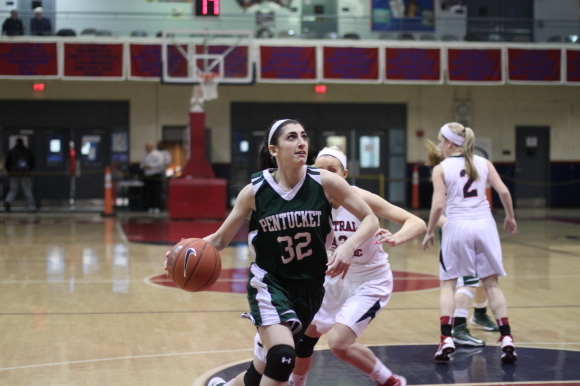 Coley Viselli made the All-Tourney team. 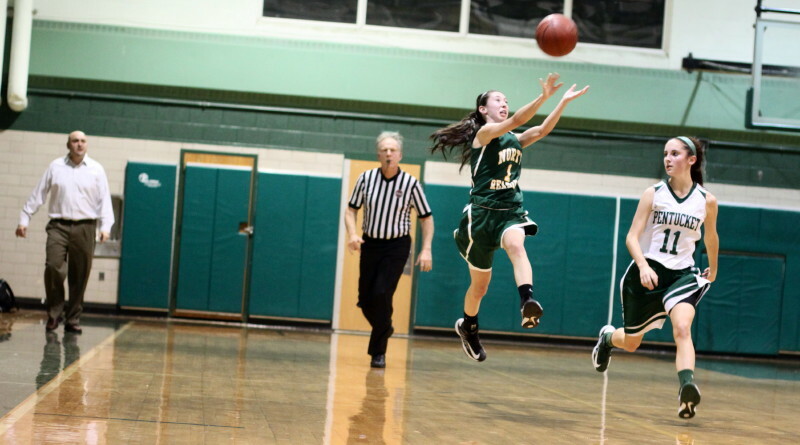 I’m sure that Kelsi’s twenty-one points played a part in her selection but her handling of the ball against physical pressure may well have been more important. 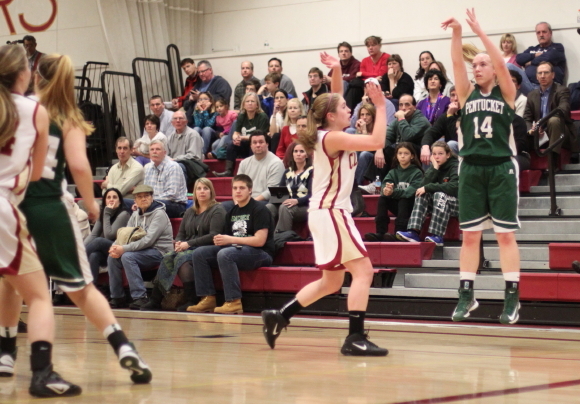 On the scoring part, Kelsi hit two 3’s in thirteen seconds to give Pentucket a, 28-21, lead late in the first half. 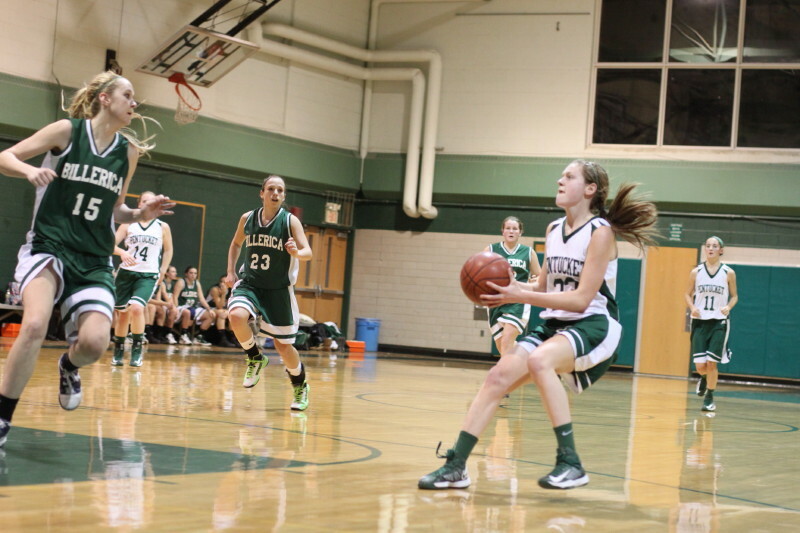 The Sachems ended up with seven long ones – Kelsi (3), Coley Viselli (2), Alex Moore and McKenna Kilian (1 each). 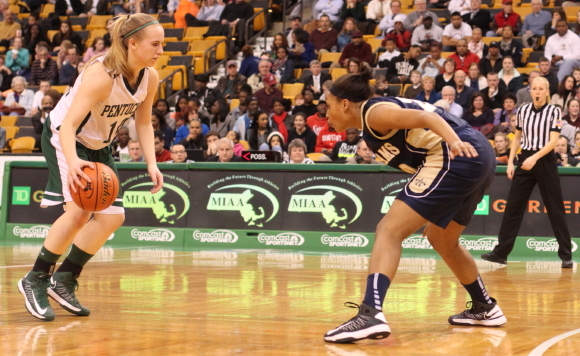 Stonehill-bound Casey McLaughlin (22 points) kept CC in the game for three quarters. 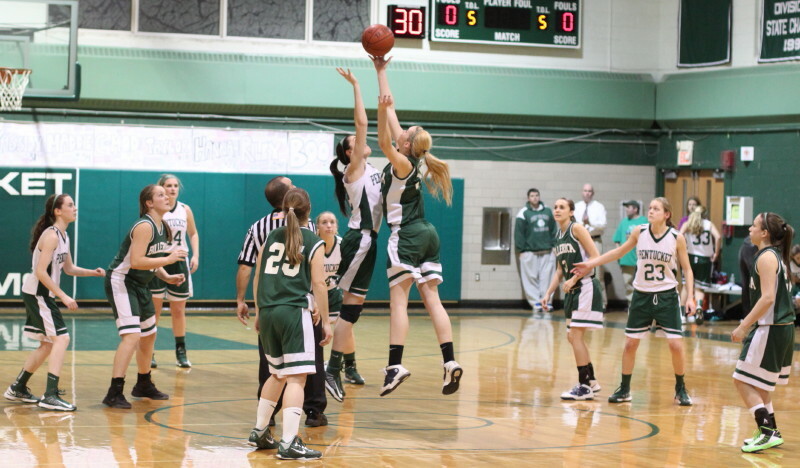 The six-foot senior seemed to be wherever the ball was on offense in close. 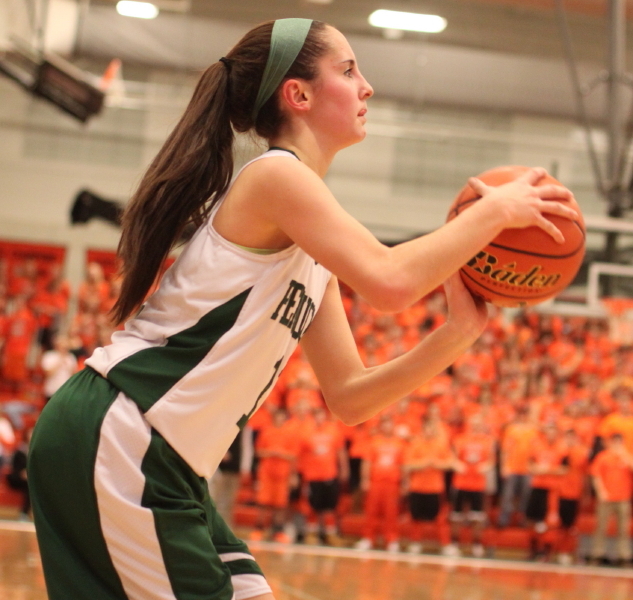 Casey had a remarkable third quarter putting up fourteen of the Raiders’ eighteen points. 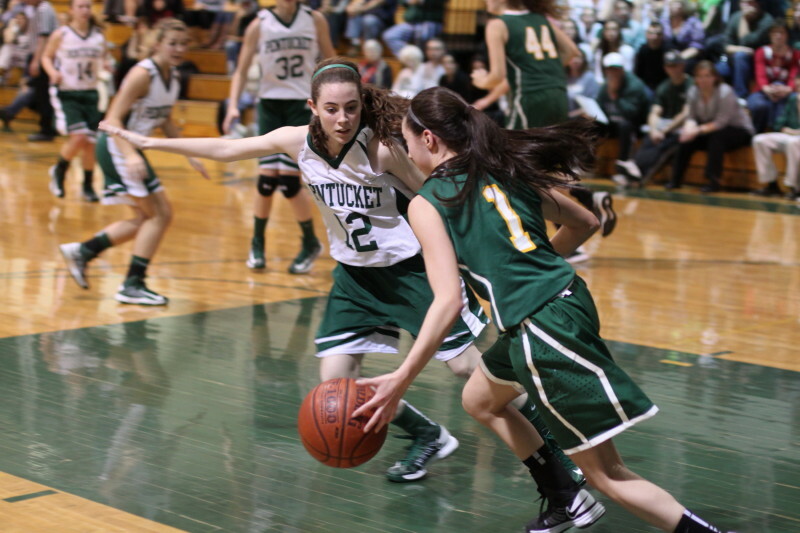 One of the keys to the Pentucket win was shutting Casey down over the last 9 ½ minutes of the game. 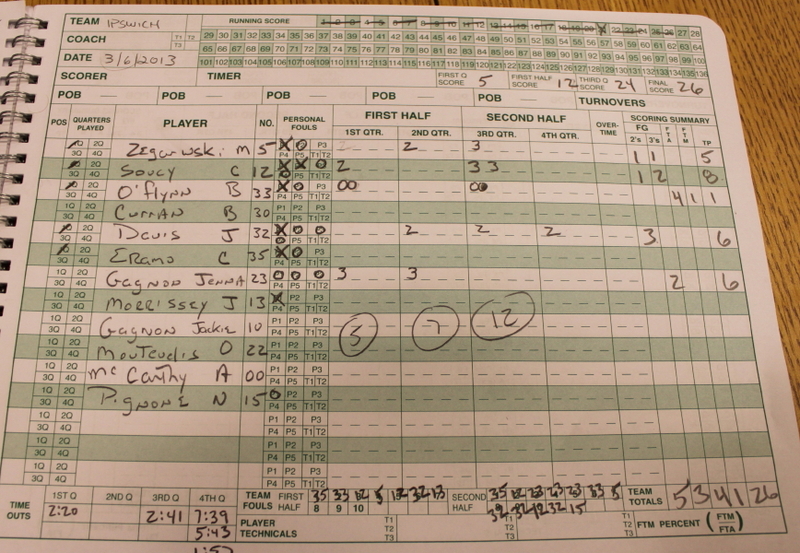 Credit Coley Viselli on a special scoring night for also playing some special defense on the Raiders top player. 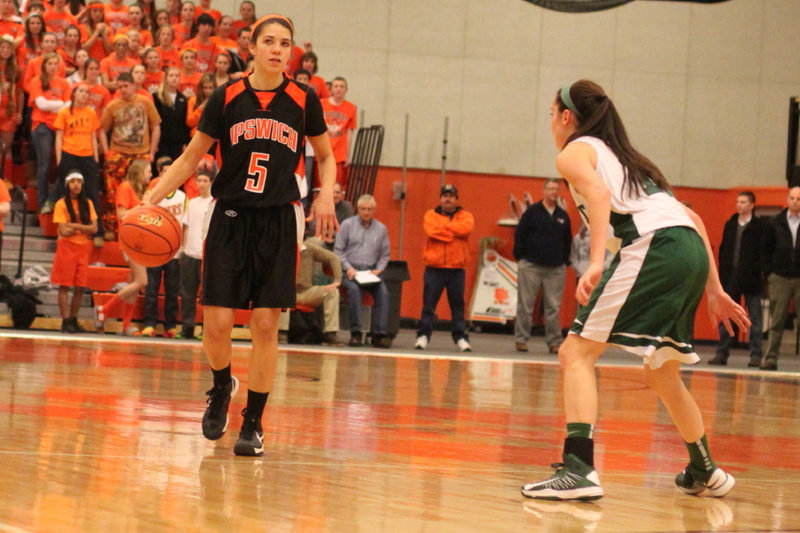 The Sachems jumped on top, 5-0, and held the five-point spread (13-8) with 2 ½ minutes left. 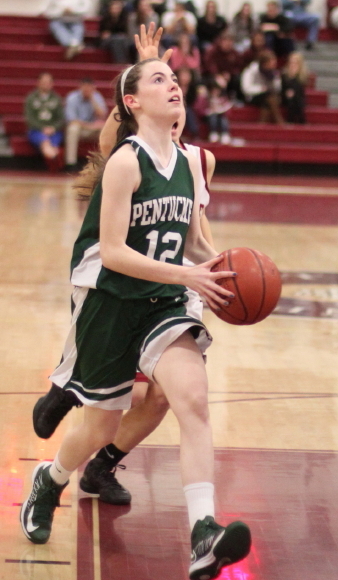 While Pentucket was held scoreless, Darion Summers, Amanda Williams (12 points), and Casey McLaughlin scored baskets to give CC a, 14-13, lead after one period. 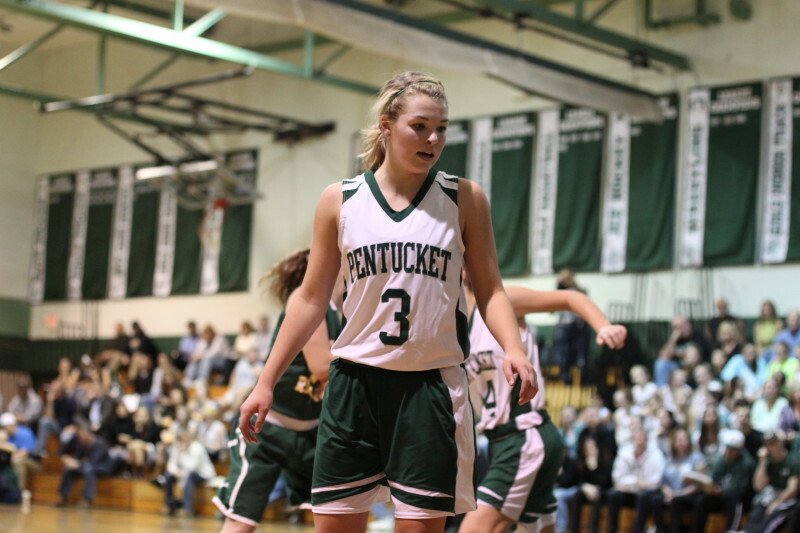 Kelsi’s two three’s late in the second quarter put Pentucket ahead by seven but Central Catholic responded with two free throws by Courtney Walsh and Casey McLaughlin’s converted rebound. 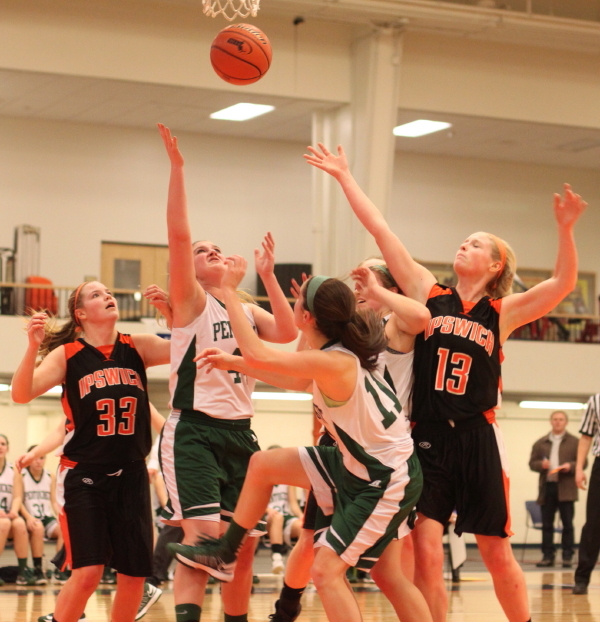 Pentucket led, 28-25, at the half. 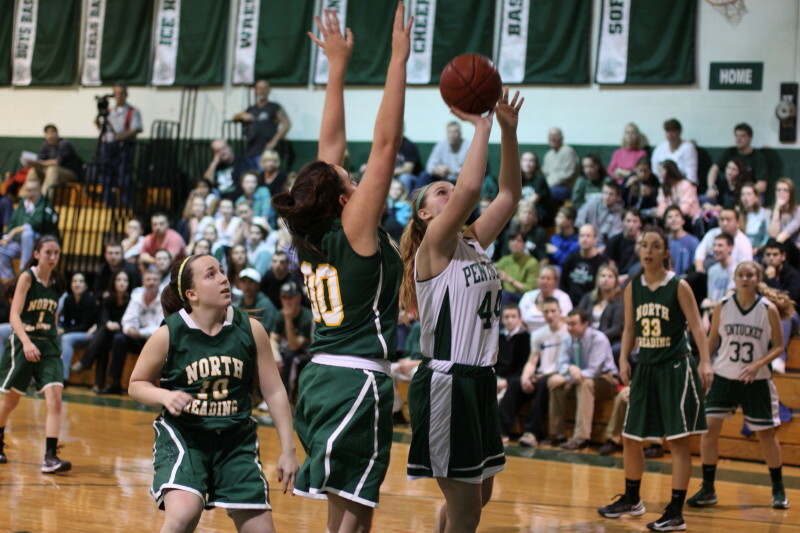 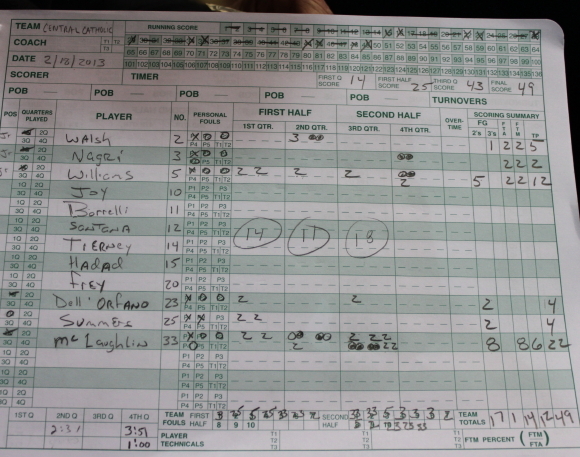 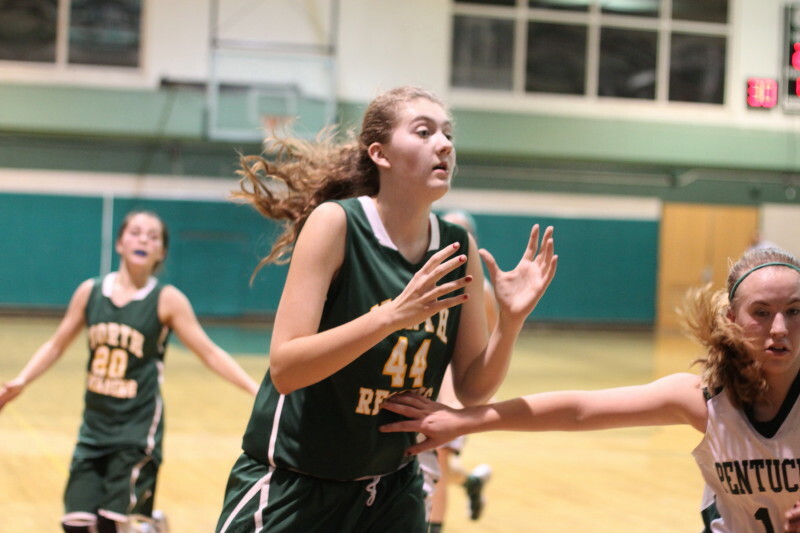 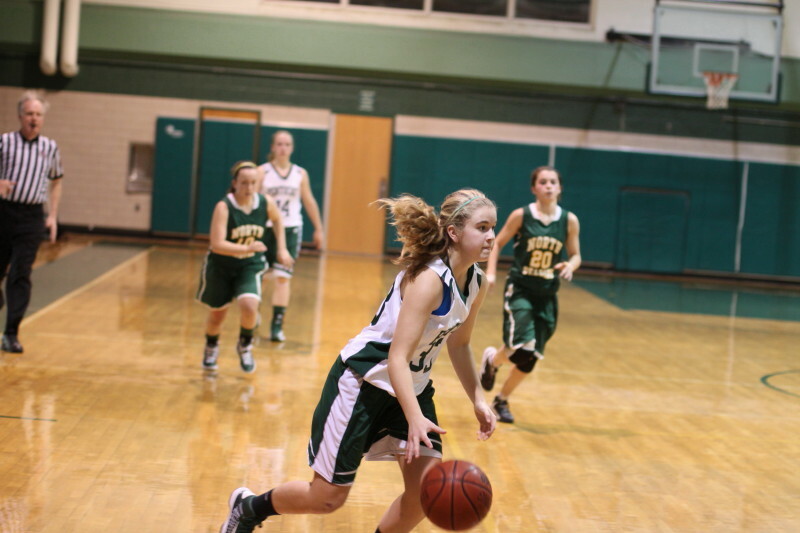 Casey put on the fourteen-point show in the third quarter but Pentucket had answers. 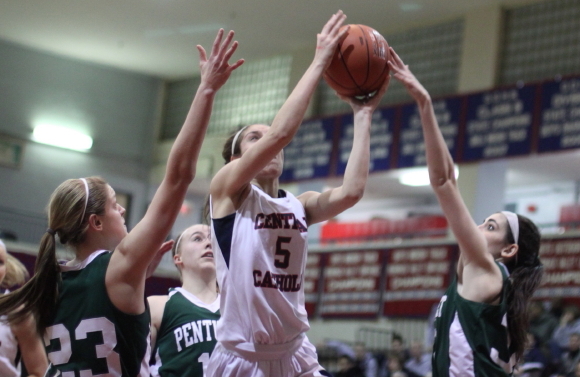 Coley Viselli connected on two 3’s. 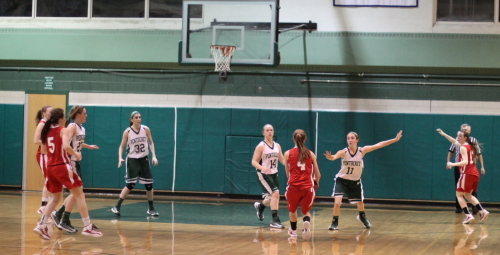 Kelsi McNamara tallied two free throws and two layups. 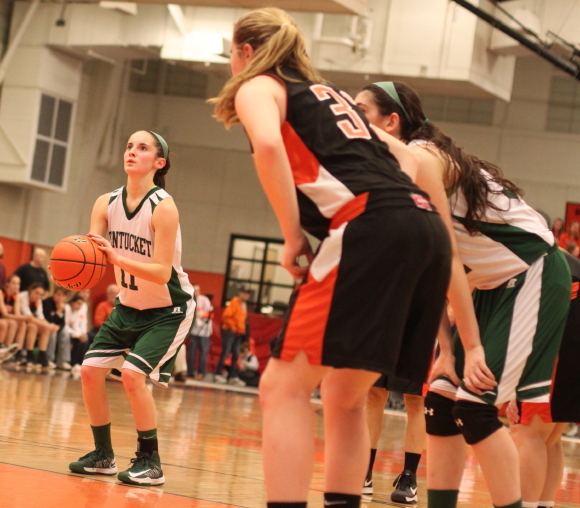 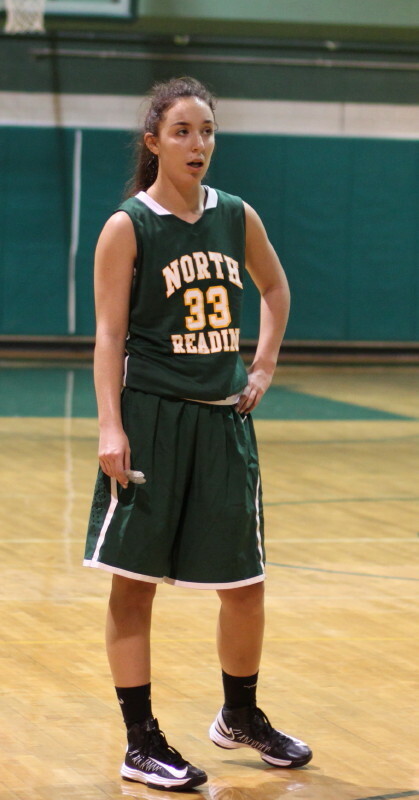 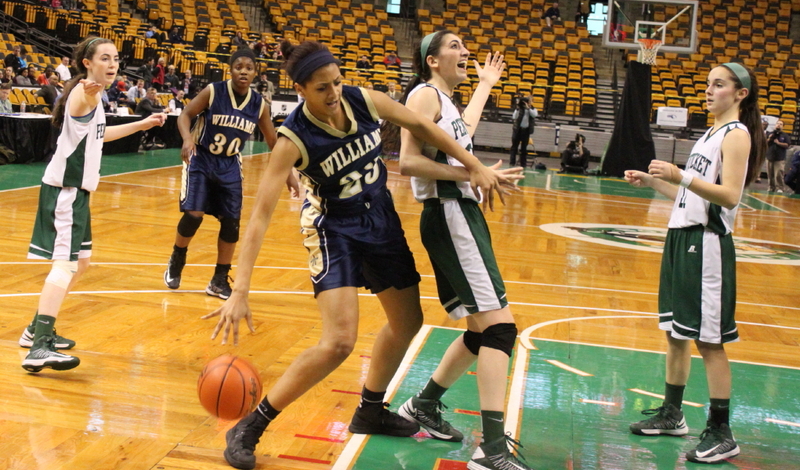 Tess Nogueira (11 points) made a layup assisted by Alex Moore and added two free throws. 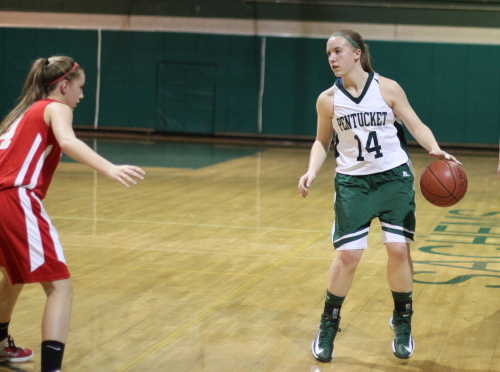 Pentucket was in front by a point (44-43) after three quarters. 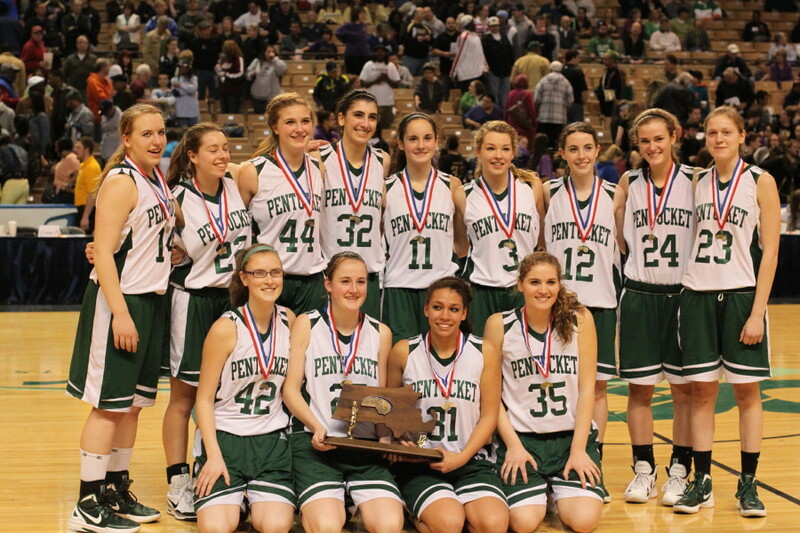 The two teams traded free throws to start the final quarter before Pentucket took the game over with nine straight points over a four-minute segment to take home the title. 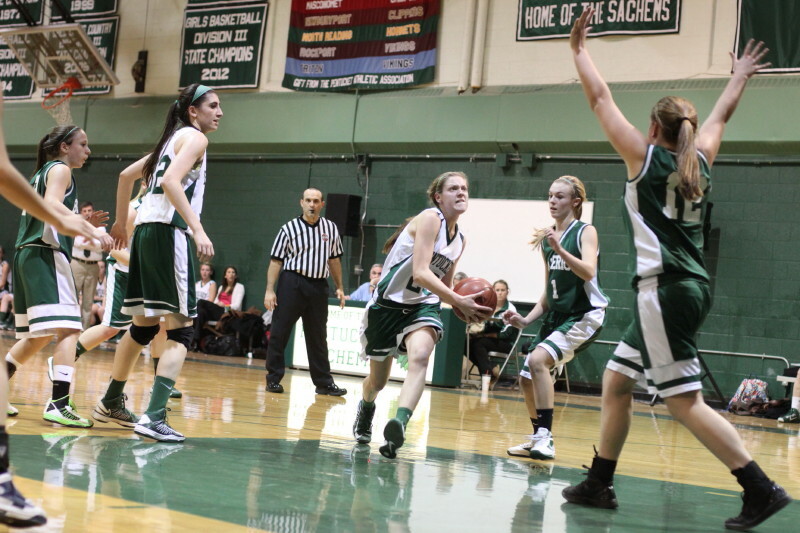 The Sachems (20-1) end the regular season with seven straight wins. 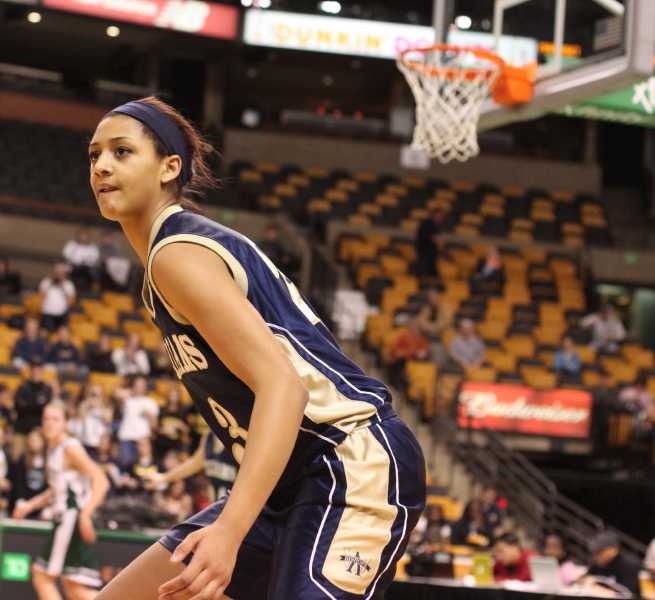 Only a loss to Division 2 Notre Dame of Hingham in January blemishes their record. 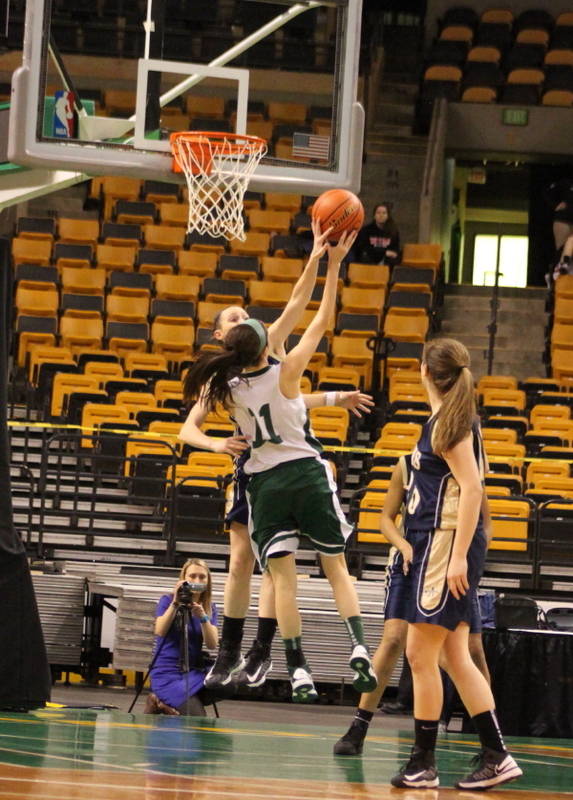 And if there was ever an opponent who could toughen the Sachems up for the Division 3 MIAA Tournament it was Central Catholic. 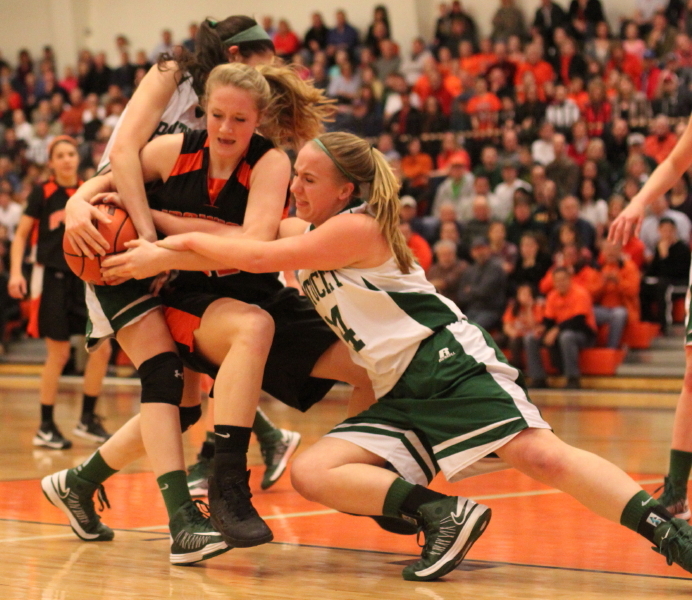 They took defending seriously and there weren’t many easy paths to the hoops for the defending D3 champs. 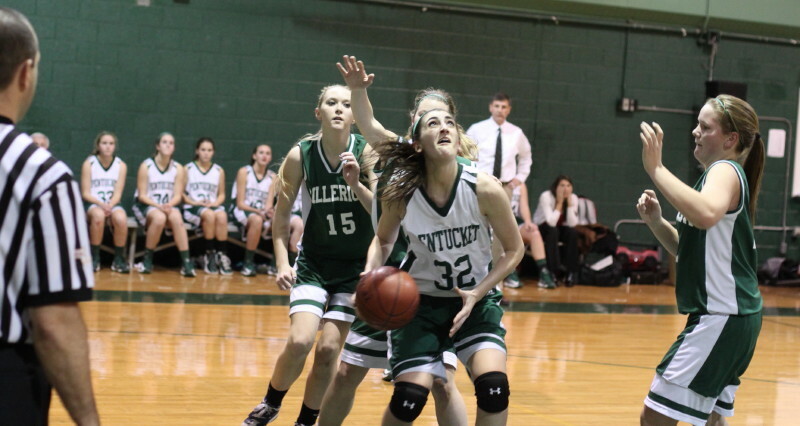 Pentucket thrives on pressuring after a made basket but CC was noticeably intent on not getting caught in the backcourt after the Sachems’ made baskets. 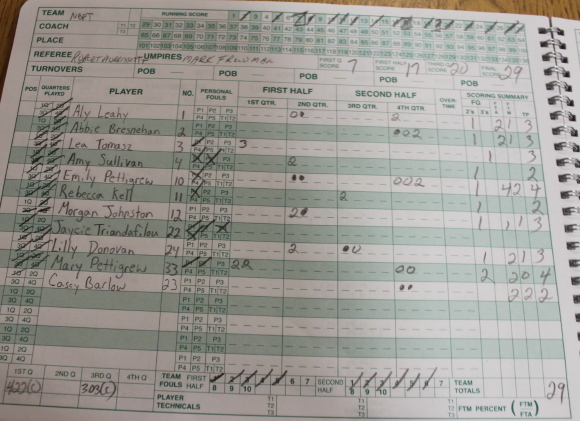 The home team did have eighteen turnovers but very few of those were in the backcourt. 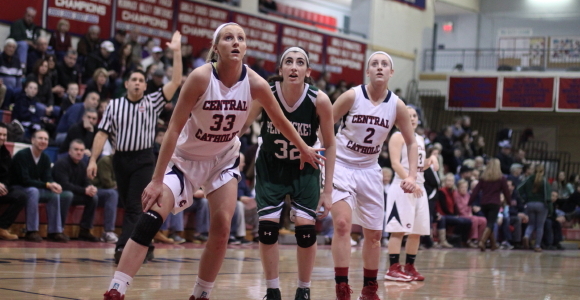 Central Catholic (14-5) is ranked fourth in the Division 1 North by the Boston Herald. 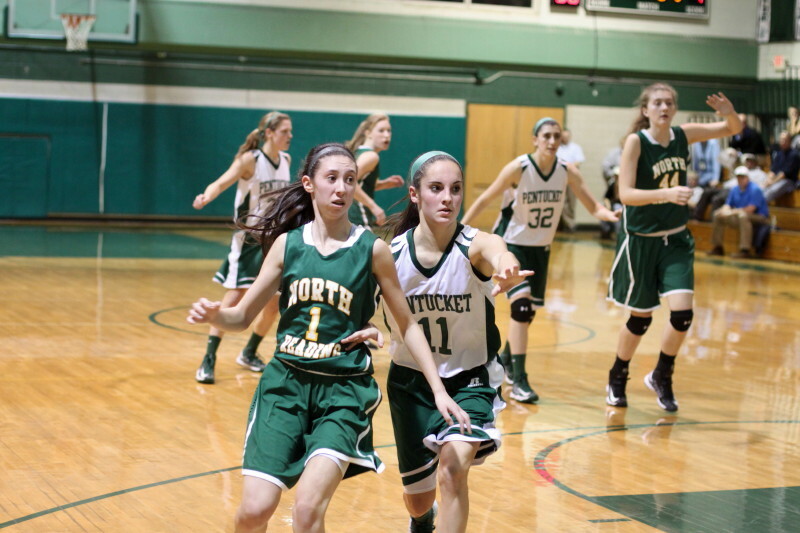 This past week they avenged losses earlier in the season to both North Andover and Andover. 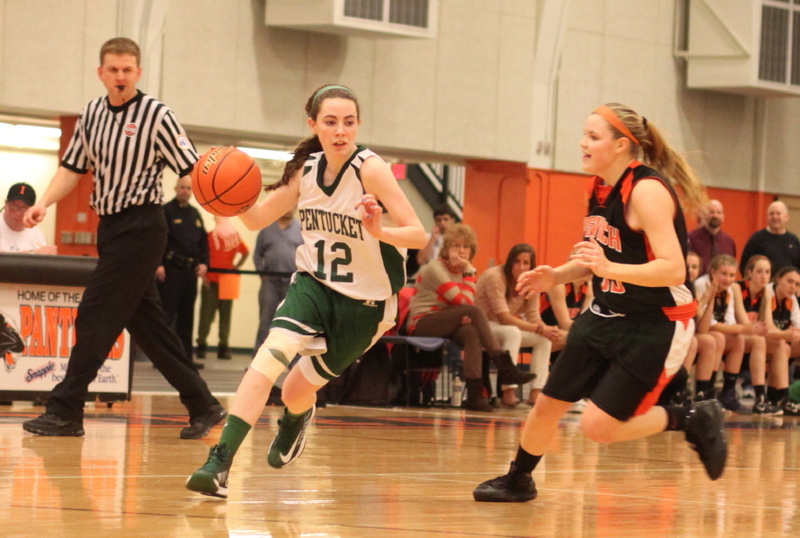 Pentucket defeated Newton South (52-45) in the first round on Sunday. 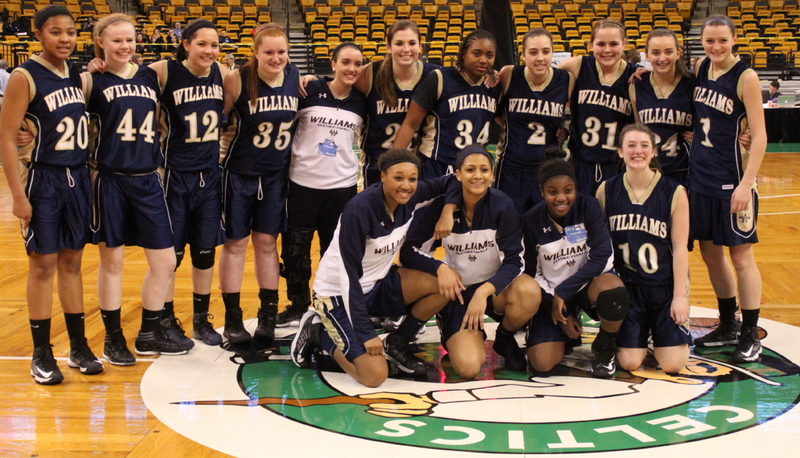 Central Catholic had a win over Auburn to get to the finals. 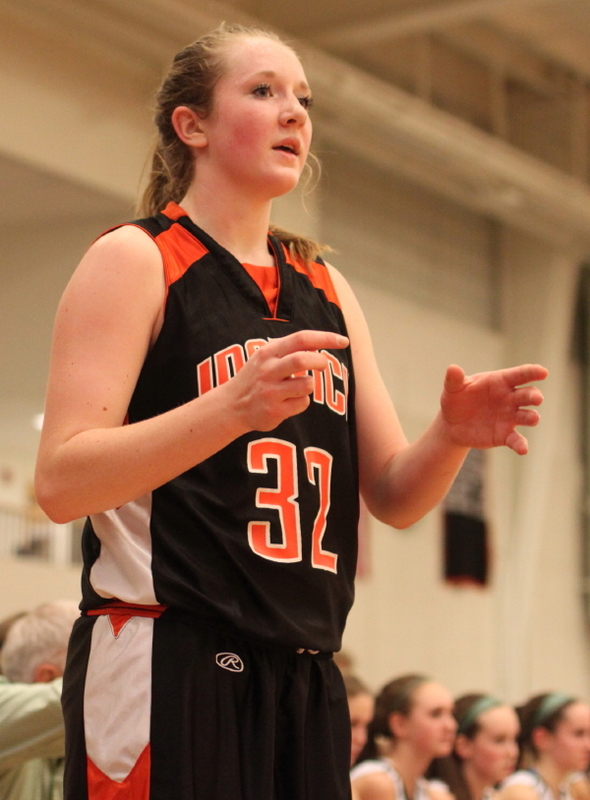 Two things I haven’t seen/heard before at a basketball game: a Zamboni-type machine cleaning the gymnasium floor, and the National Anthem played on a harmonica. 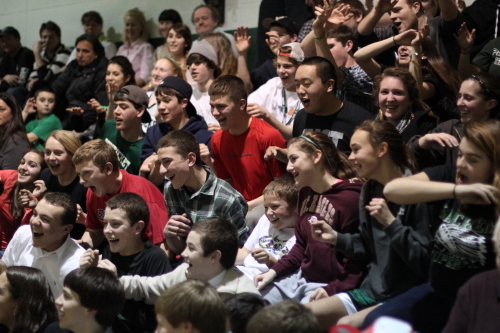 The Pentucket partisans gave away the news that Coley had reached 1000 points when they let out a loud cheer after Coley hit the first of two free throws with 1:51 left in the game. 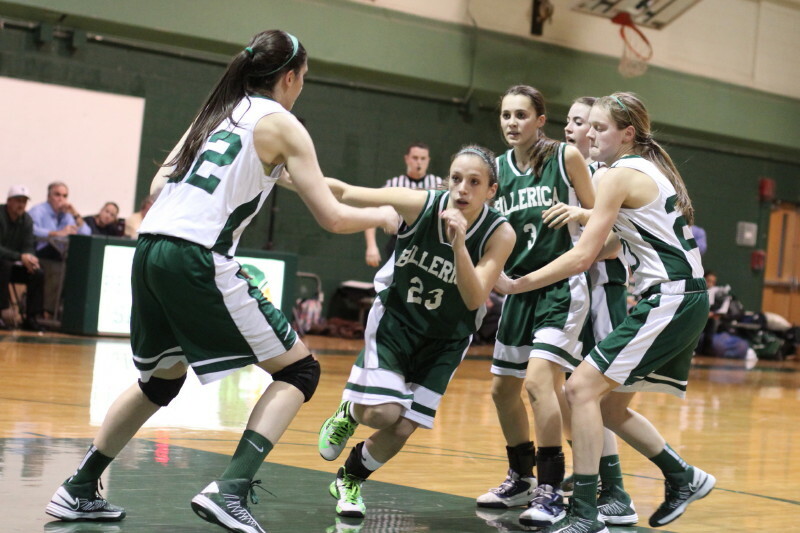 Play was stopped and her feat was announced and her teammates congratulated her. 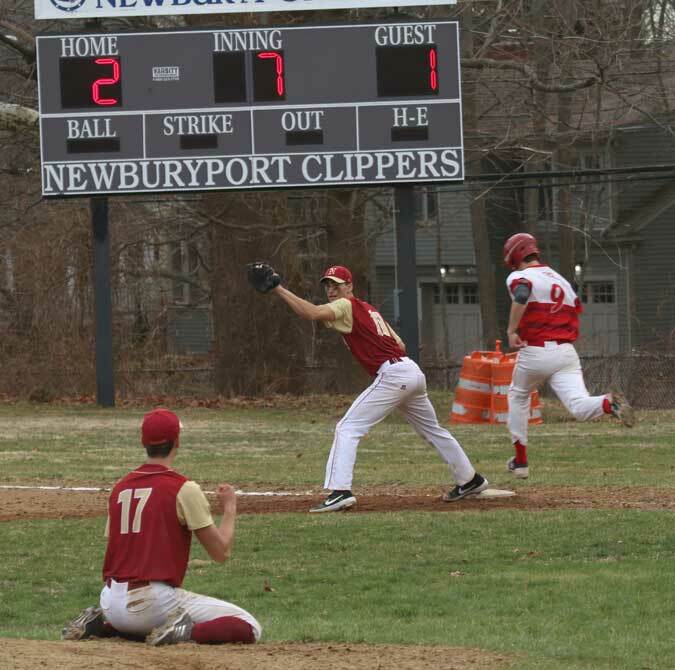 (West Newbury) It is not often that you see two good teams have so much trouble shooting and taking care of the ball. 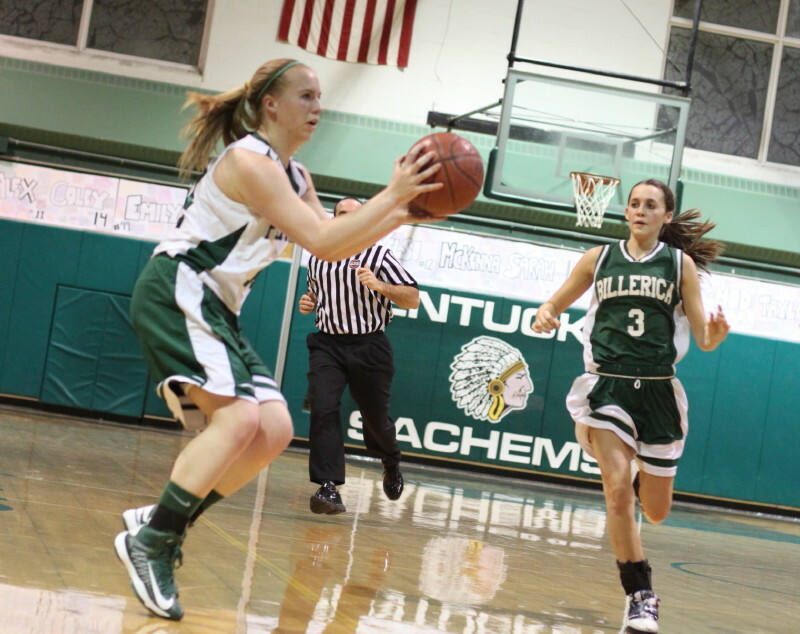 But those on hand at Pentucket High School saw a night full of misfiring and mishandles before the Sachems (15-1) eked out a, 44-43, overtime win over Masconomet (11-3) on Friday night in Cape Ann League action. 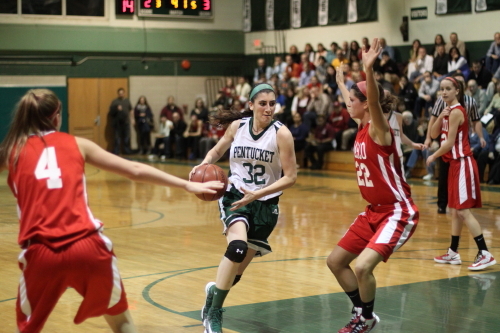 No question the key to the Pentucket win was the steady play of Tess Nogueira. 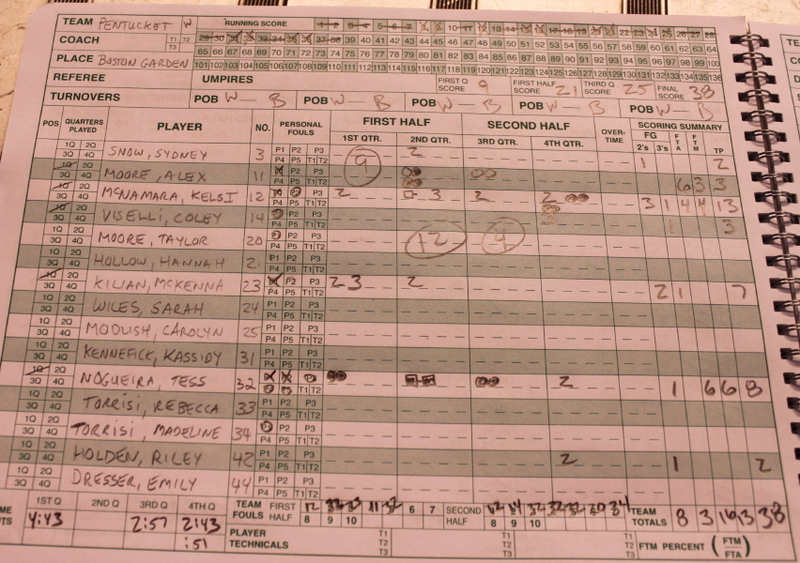 The 6-foot senior led all scorers with twenty points and owned the boards. 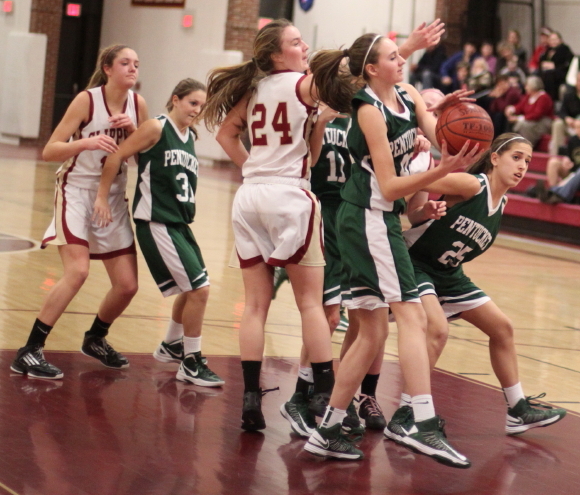 Masco had Pentucket on the ropes (40-36 with 1:11 left) in regulation. 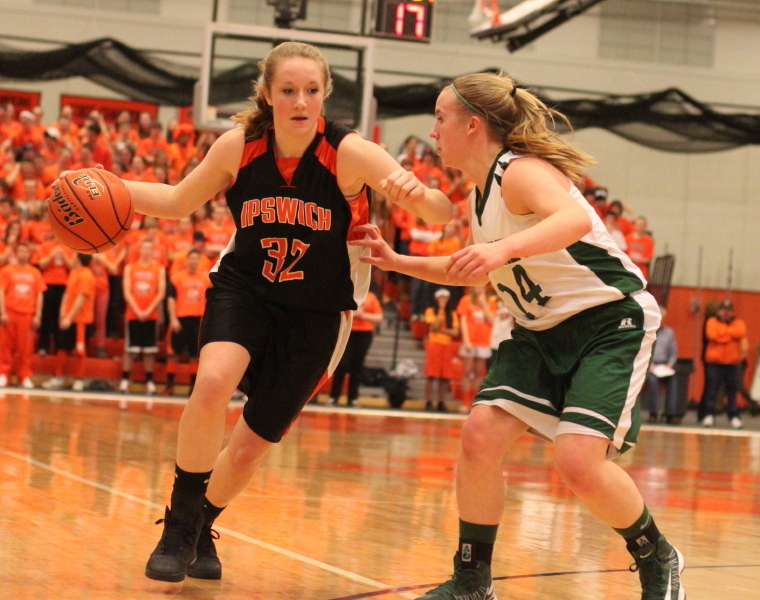 However, a Tess Nogueira offensive rebound and two Chieftain turnovers opened the door for the Sachems to get back and get overtime. 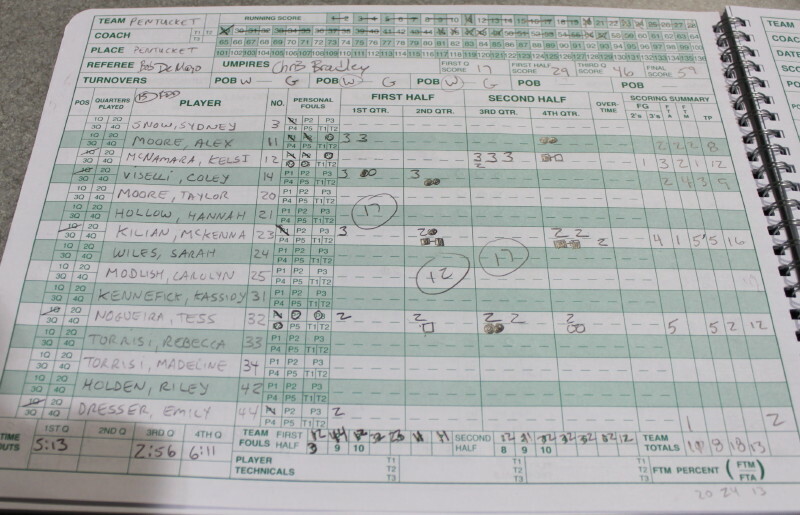 The four-minute overtime fit perfectly into the pattern established in regulation – missed opportunities galore. 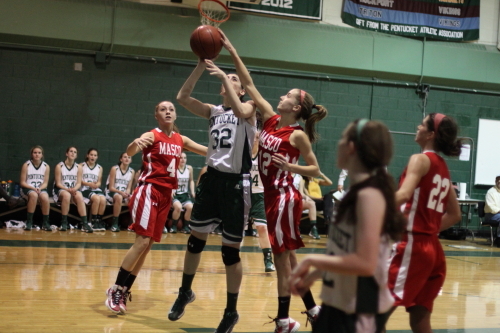 Masco didn’t make any shot until the final buzzer! 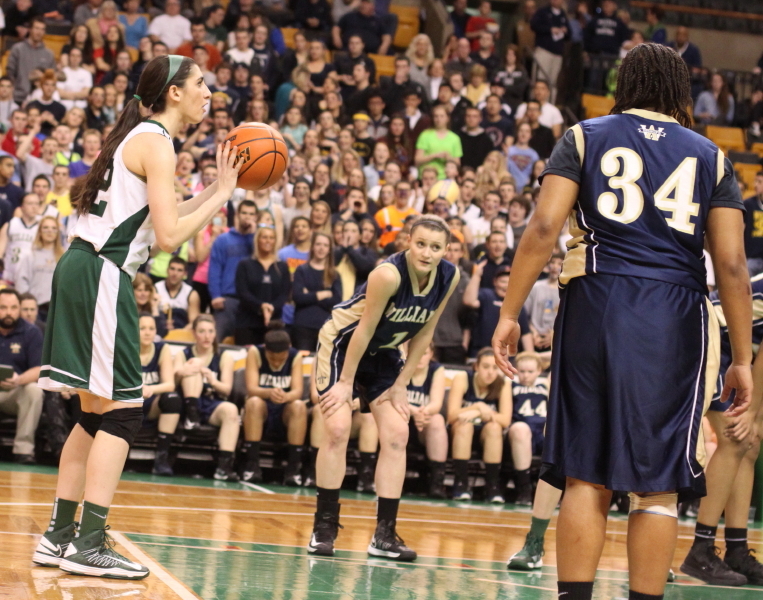 Kelsi McNamara missed two free throws with 2 ½ minutes remaining in OT. 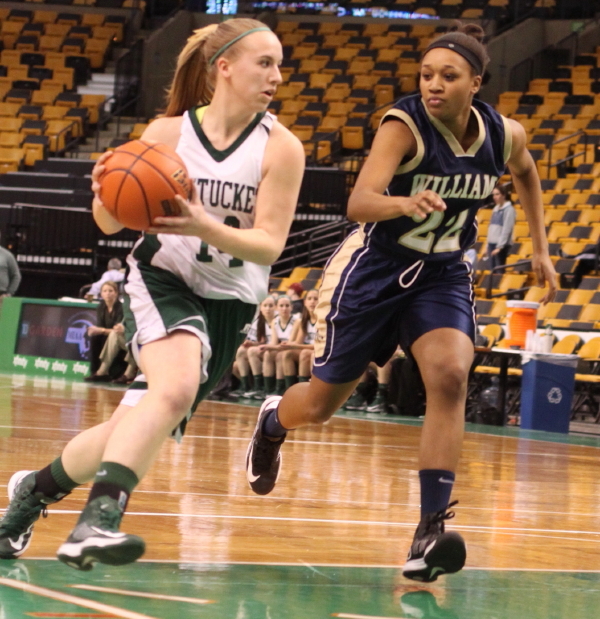 However, Tess Nogueira made two with 1:02 to go and Pentucket had a 42-40 lead. 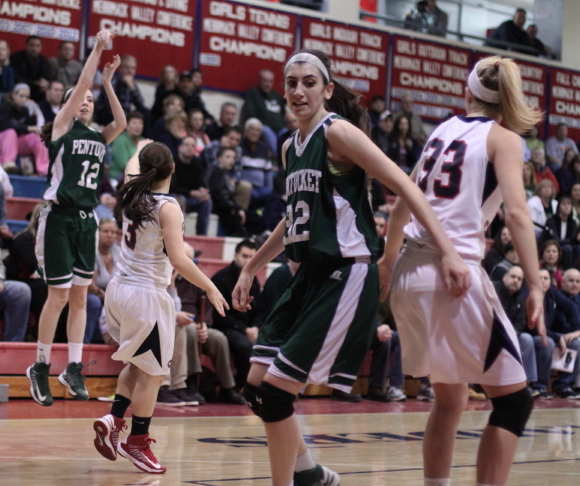 Nicole Femino (14 points) then missed both free throws with forty-three seconds left but a Pentucket turnover gave Masco another chance with fourteen seconds left. 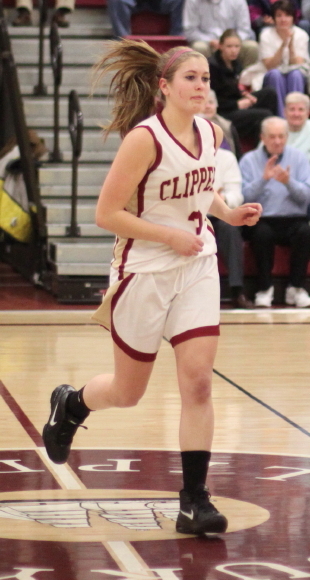 However, the visitors messed up the inbounds pass (Tess was in the vicinity of where the pass went) and now the Chieftains were forced to foul (Kelsi McNamara) with 7.7 seconds left. 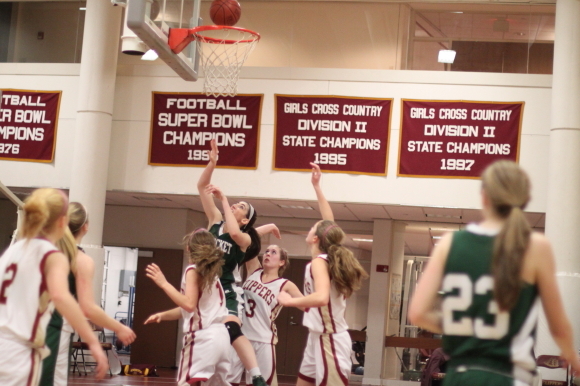 Kelsi had missed two earlier in OT but this time she connected twice to give the Sachems a four-point advantage. 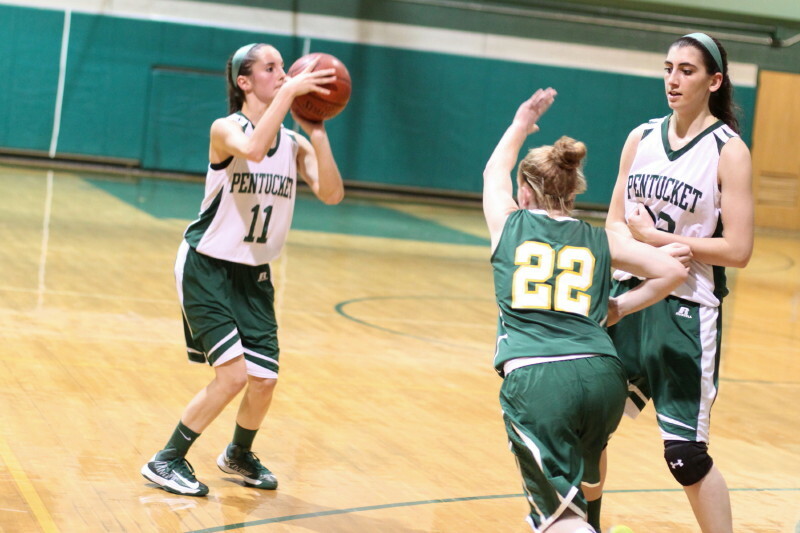 Good thing, for Pentucket, that Kelsi made both of them because Nicole Femino tossed in a buzzer-beating three. 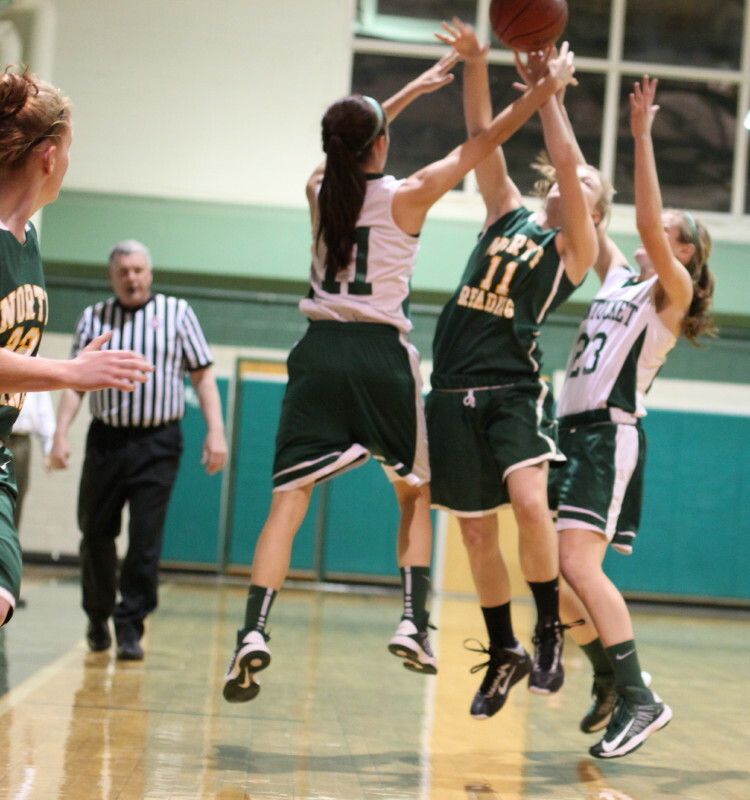 It is easy to harp on the poor shooting and turnovers and forget that both teams are loaded with tireless defenders. 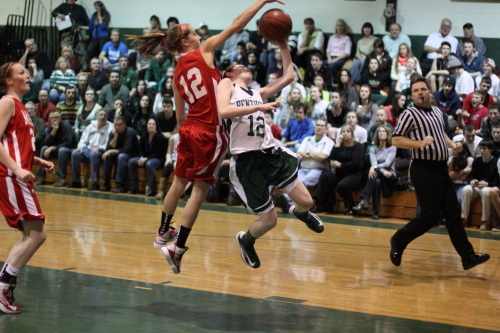 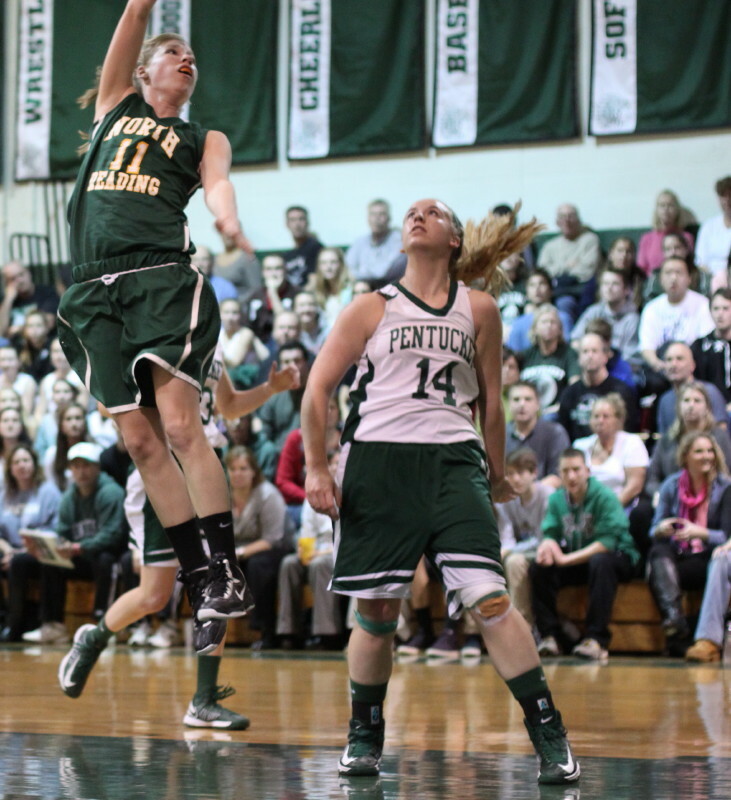 In a gym that is always tropical, the wear-and-tear of facing game-long Pentucket pressure will usually cause trouble. 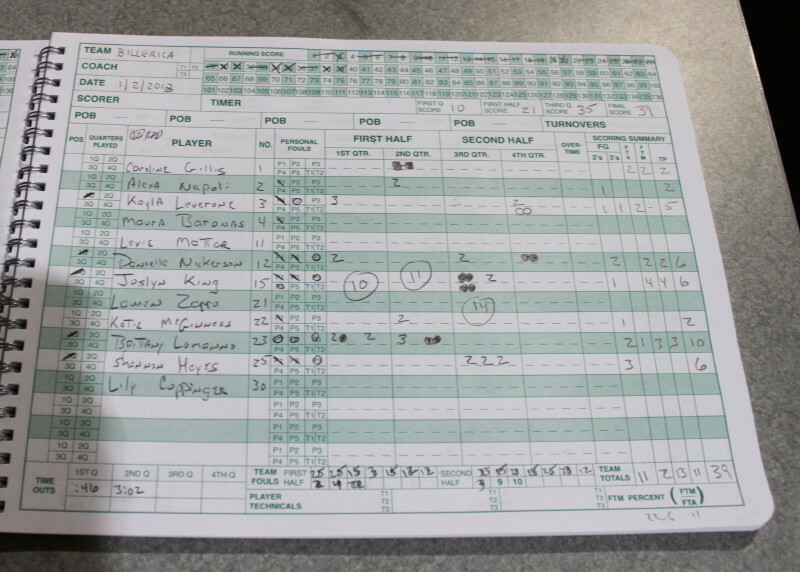 By my count, the Chieftains had thirty turnovers. 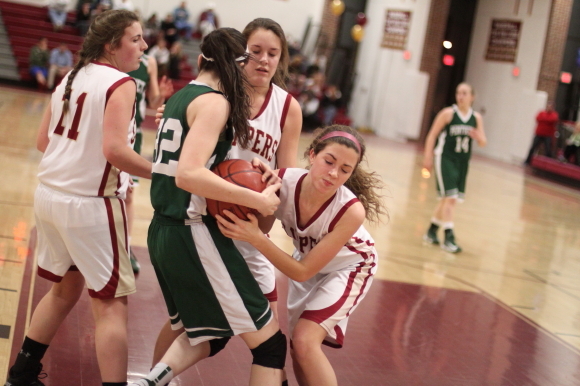 Another factor in the Masco loss was Claudia Marsh getting into foul trouble. 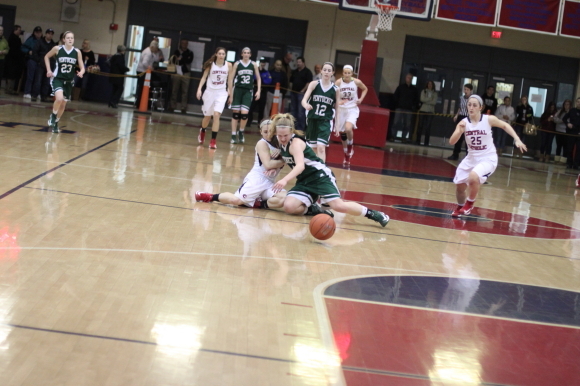 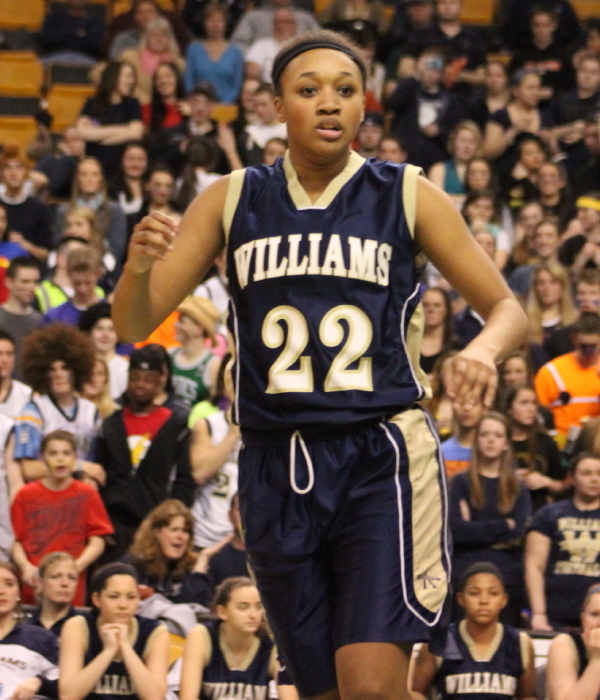 Claudia picked up her third foul late in the first half and fouled out late in the game. 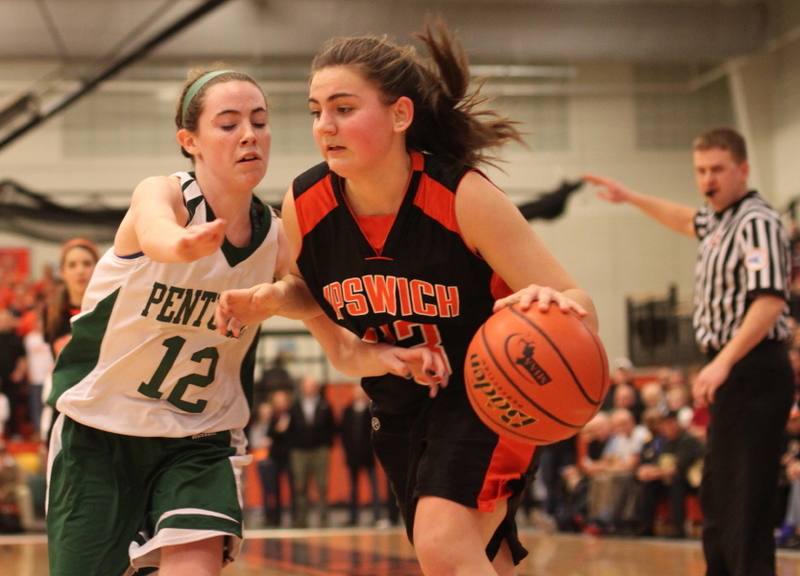 Her strong defense on Tess Nogueira was sorely missed for many minutes. 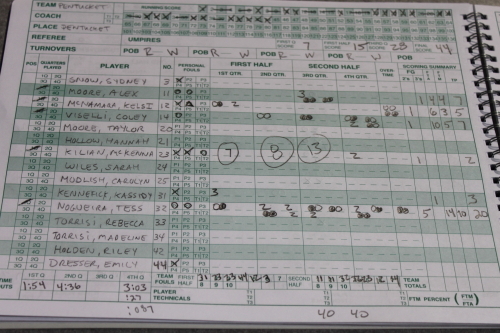 Claudia scored a basket at the buzzer to end the third quarter. 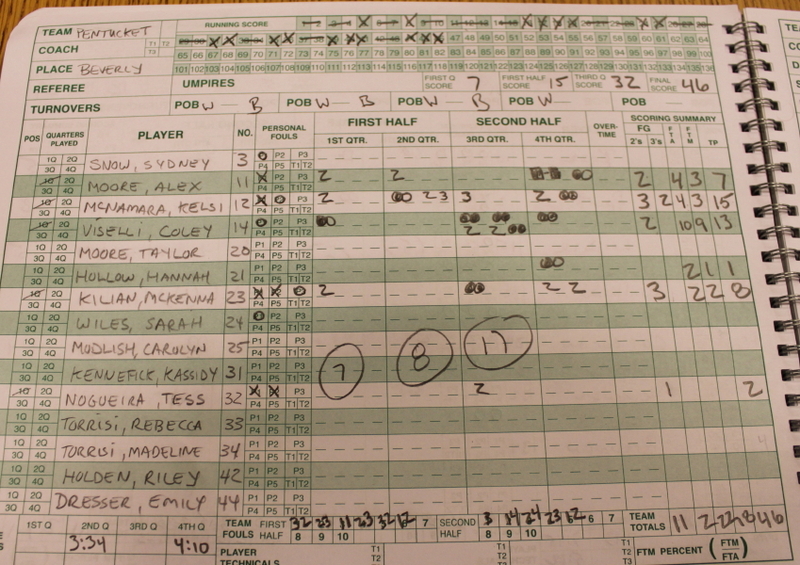 There were ten lead changes and neither team was able to get ahead by more than four points. 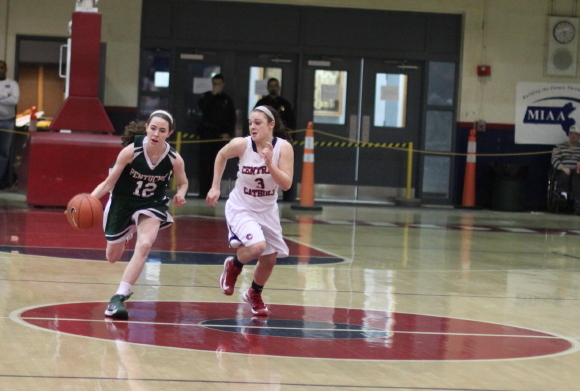 Meghan Collins and Kate Kitsakos connected on consecutive three’s in the fourth quarter. 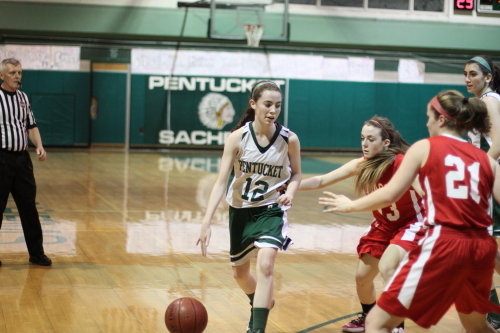 Kassidy Kennefick came off the Sachem bench in the first quarter to hit a quick long one. 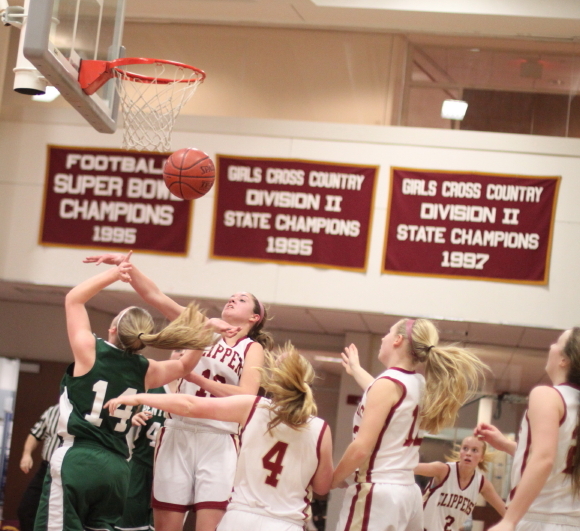 One of the biggest baskets in the game was a jump shot in the lane by McKenna Kilian off a missed Kelsi McNamara shot in the last thirty seconds of regulation. 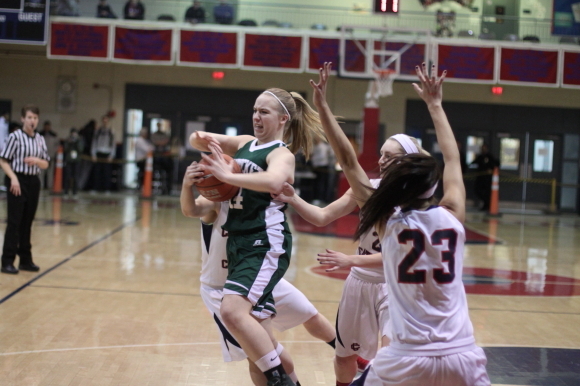 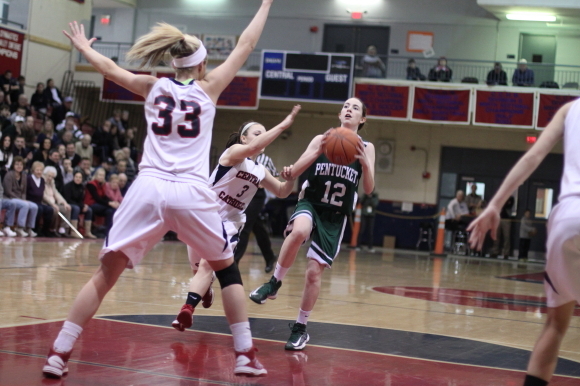 Pentucket was determined to spread the Masco man-to-man defense and get to the hoop for layups or foul shots. 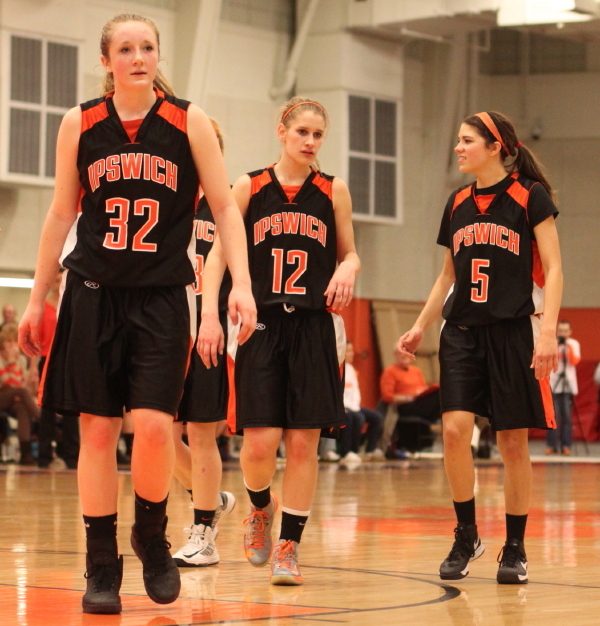 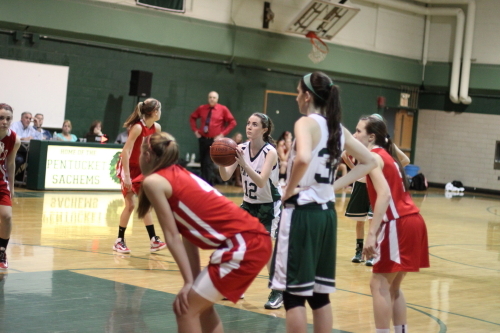 On this night making the layups, under heavy Masco defensive pressure, was difficult. 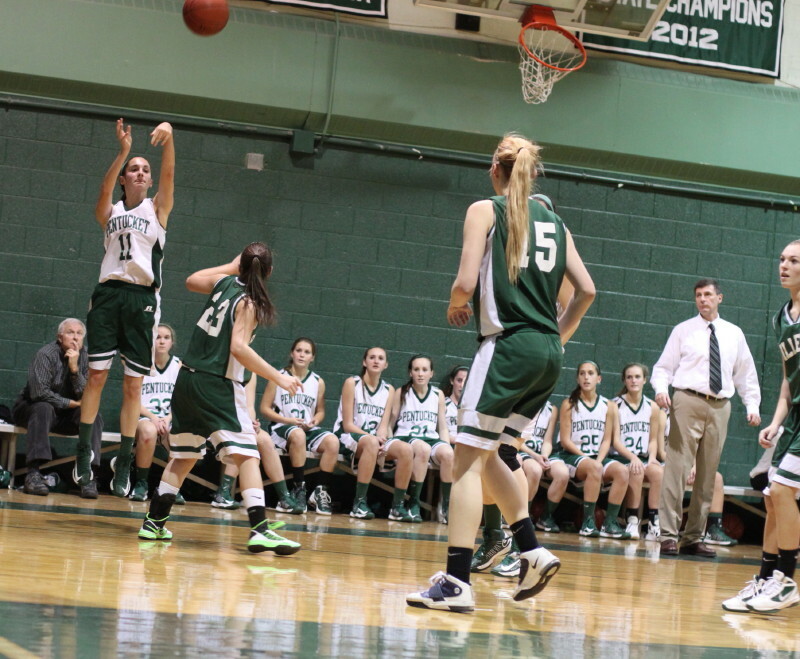 The Sachems did get thirty-four free throws out of attacking the basket and made twenty-two of them. 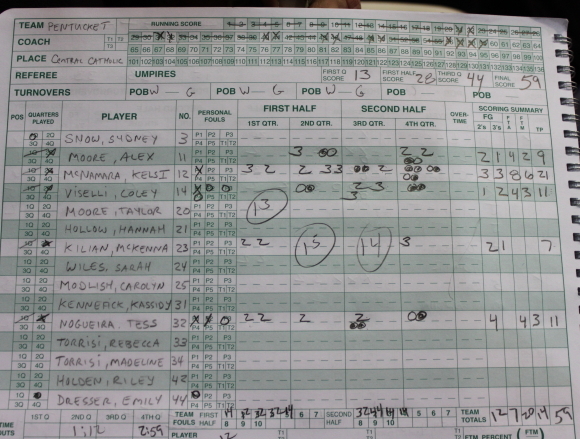 Tess Nogueira was 10-for-14. 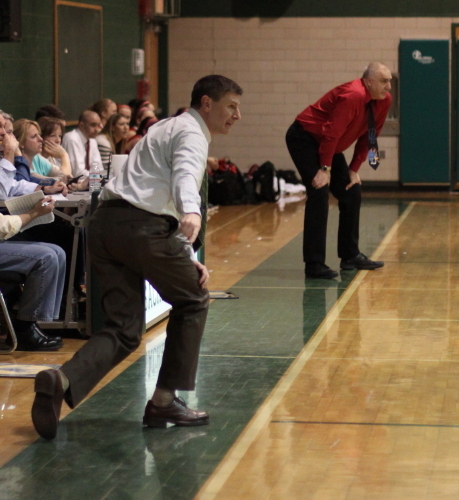 This game featured two of the areas most successful coaches. 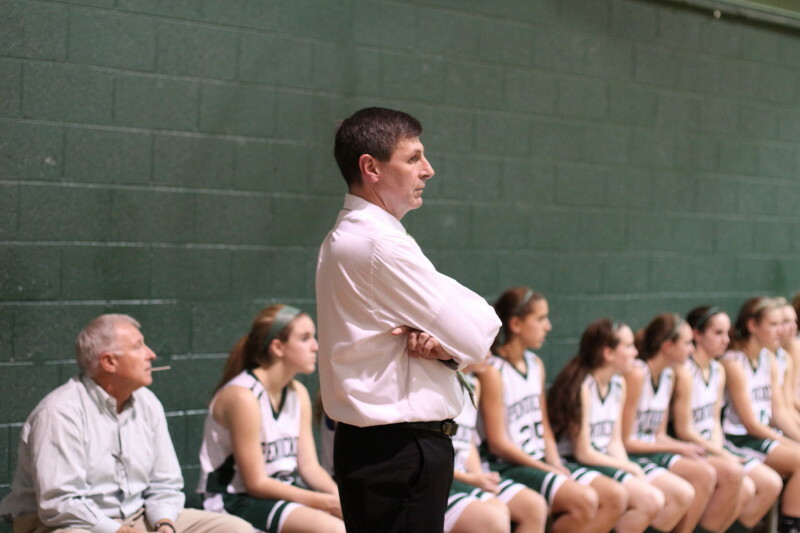 John McNamara in his 7th season with Pentucket is now 149-19. 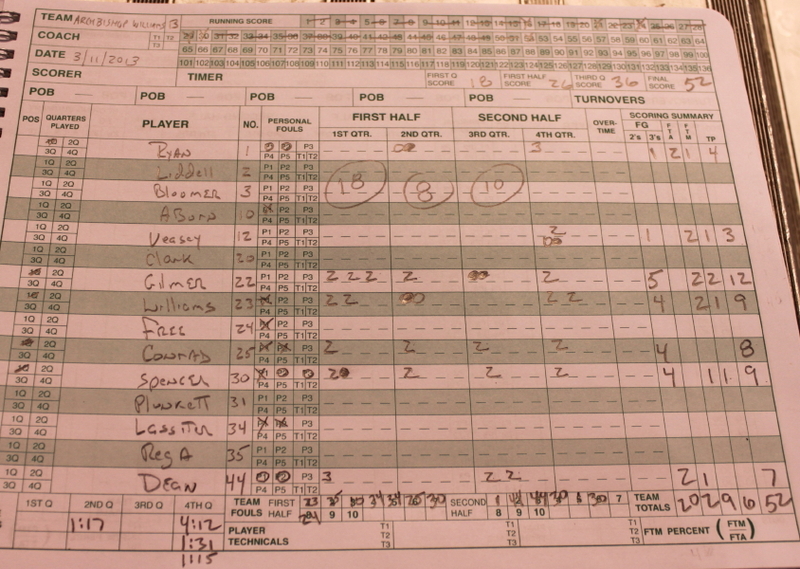 Bob Romeo in his 11th season is 175-51. 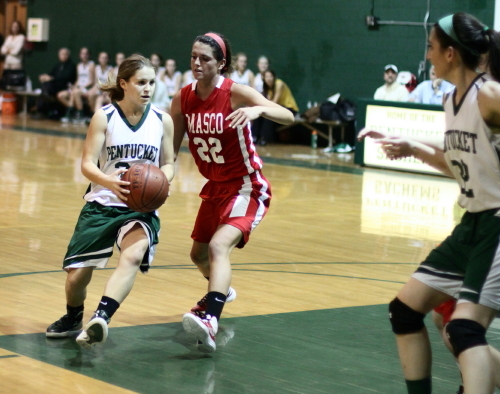 Pentucket won the first meeting in December with Masco, 45-33. 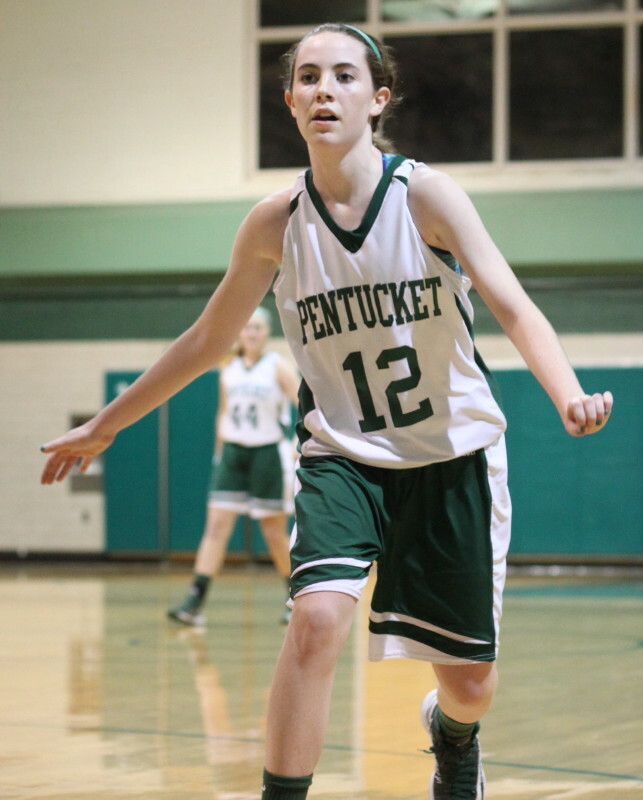 Pentucket suffered its only loss of the season on January 26th at Hingham against Division 2 Notre Dame. 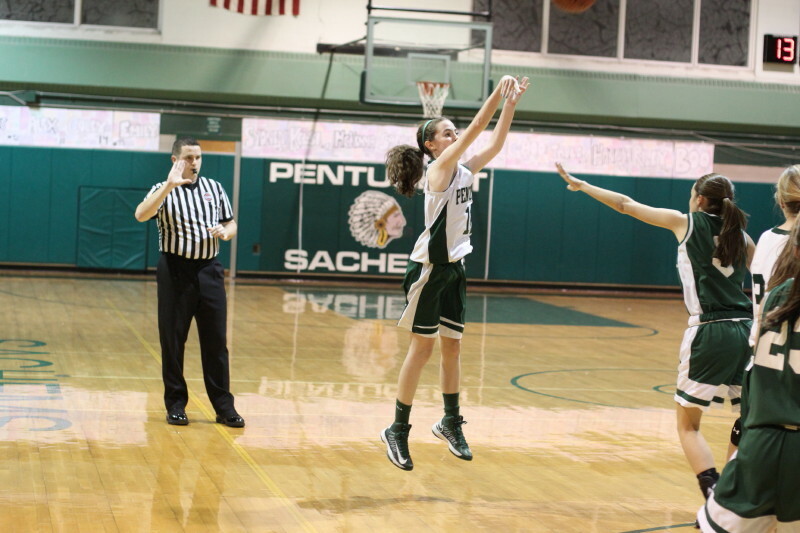 A week earlier, at Pentucket, the Sachems had won. 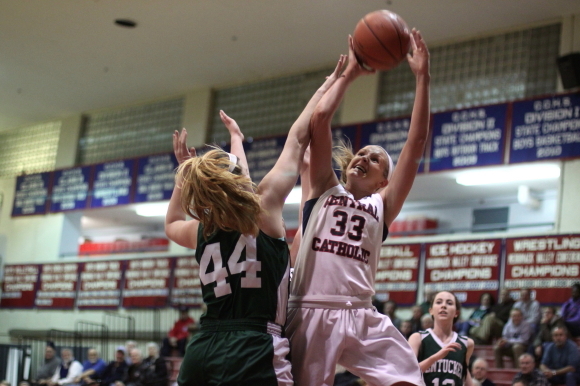 Masconomet hosts Hamilton-Wenham on Tuesday. 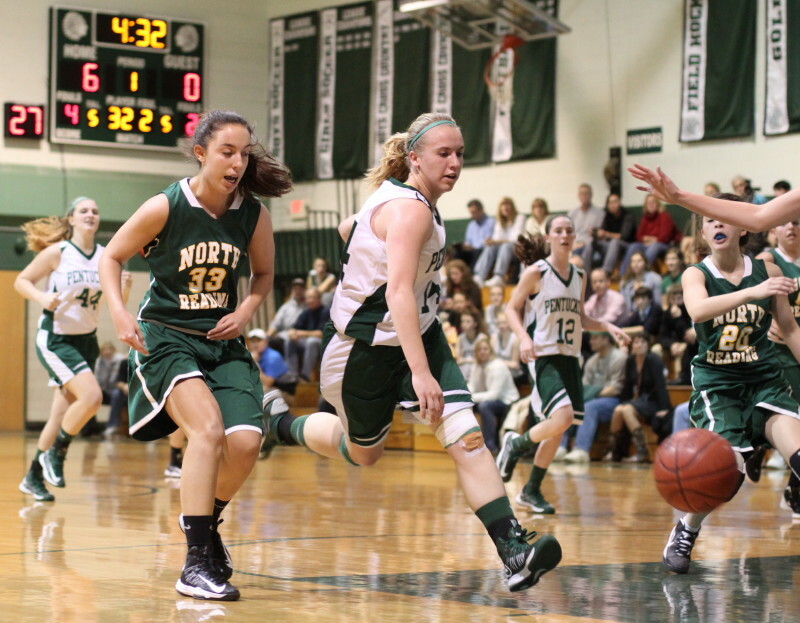 Pentucket will visit North Reading on the same day. 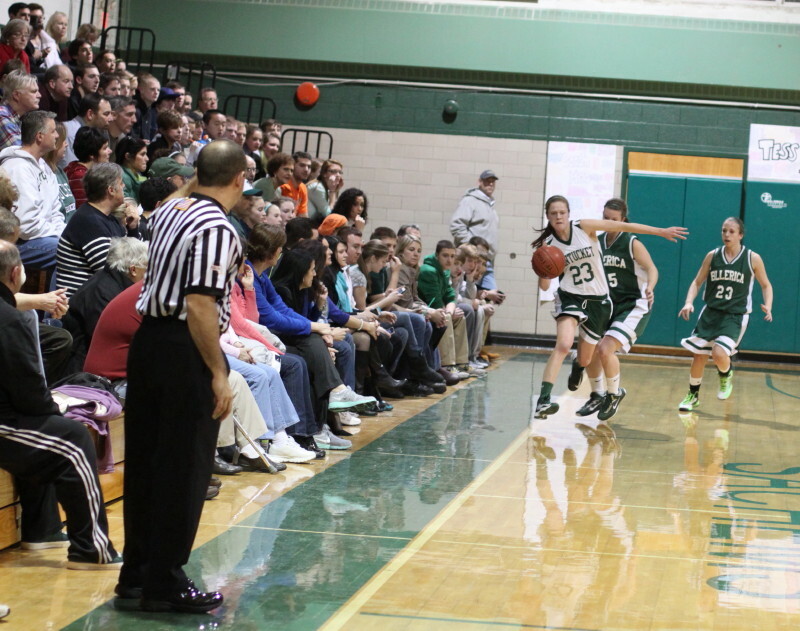 Good crowd on hand. 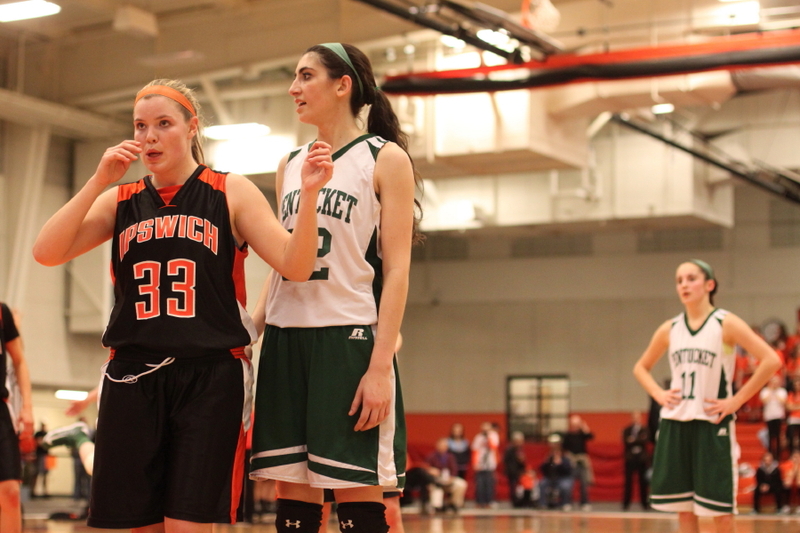 We saw some organized Sachem support late in the game.